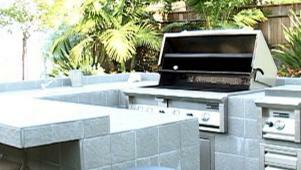 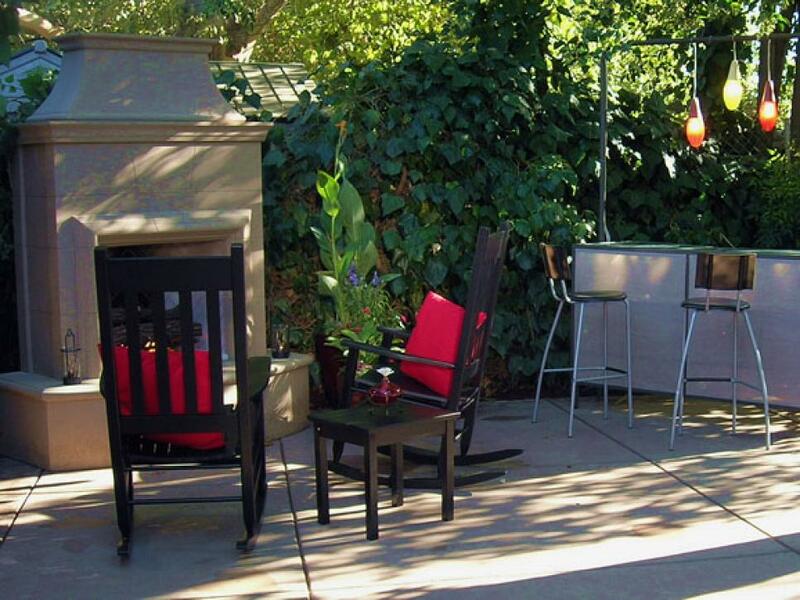 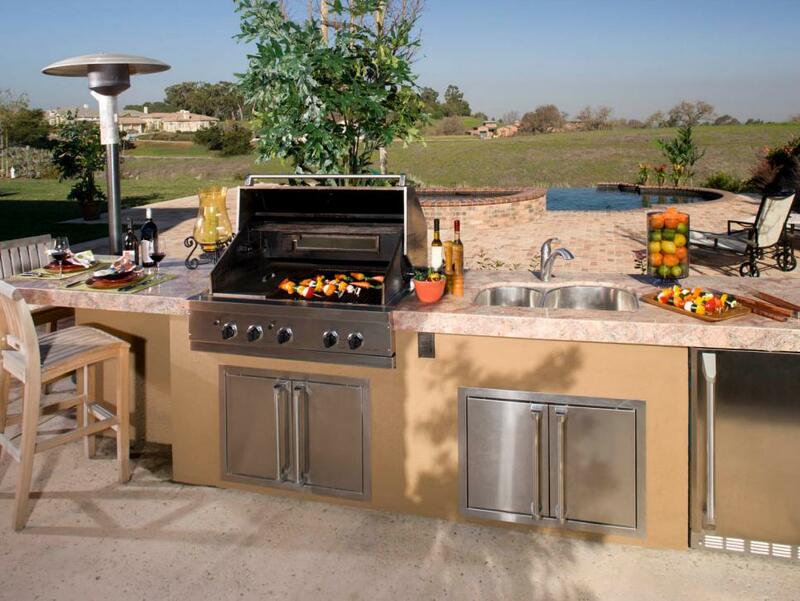 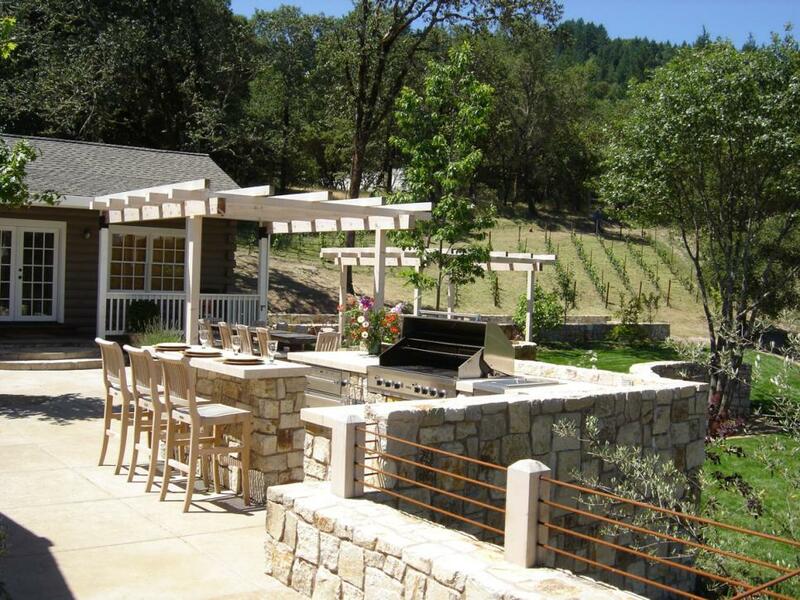 Prefabricated outdoor kitchen kits are an easy, budget-friendly way to add a kitchen to your backyard or patio. 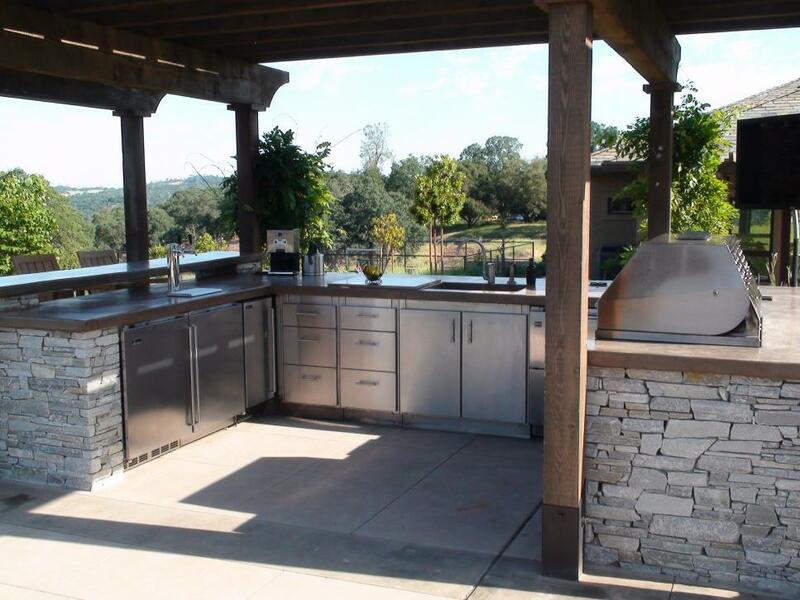 Modular outdoor kitchens are available in a variety of styles with popular accessories like compact refrigerators, stainless steel cabinets and custom countertops. 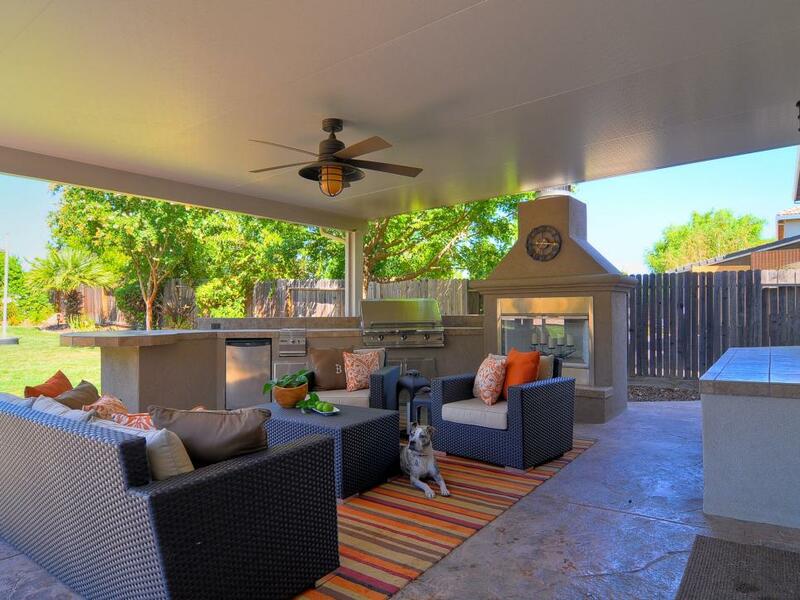 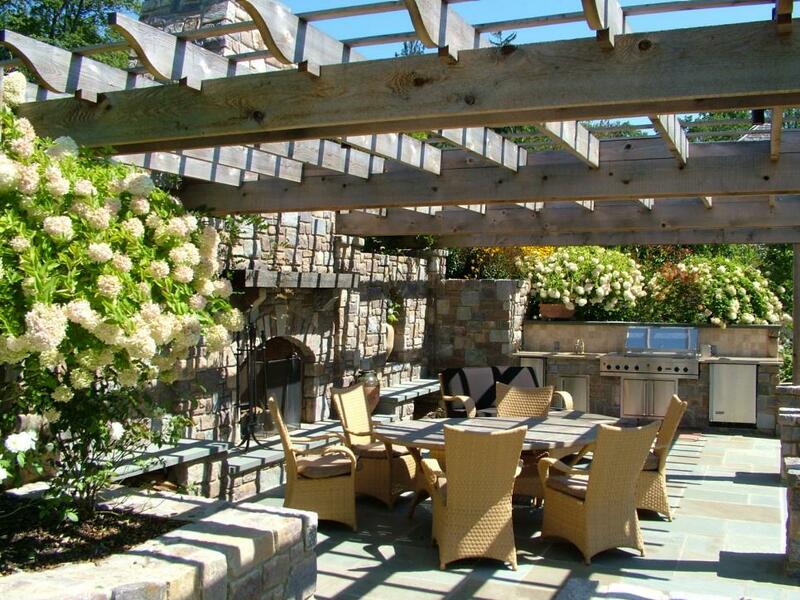 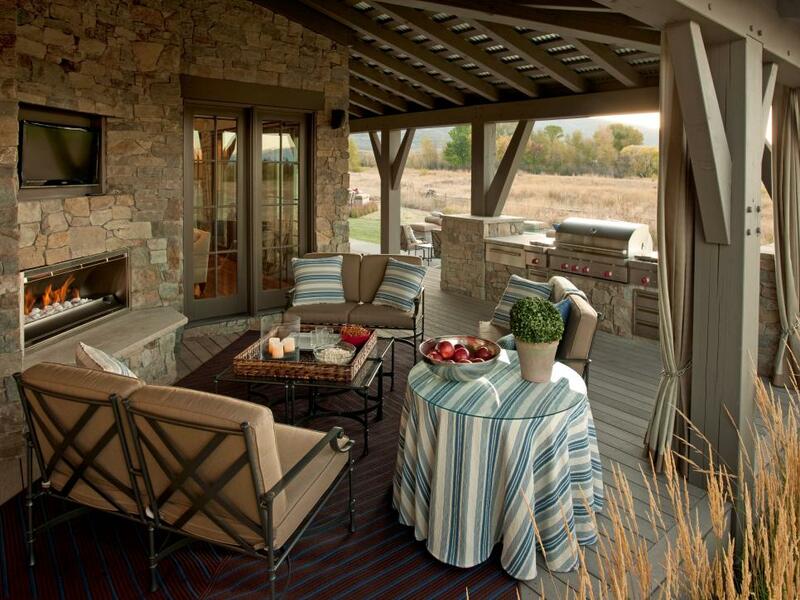 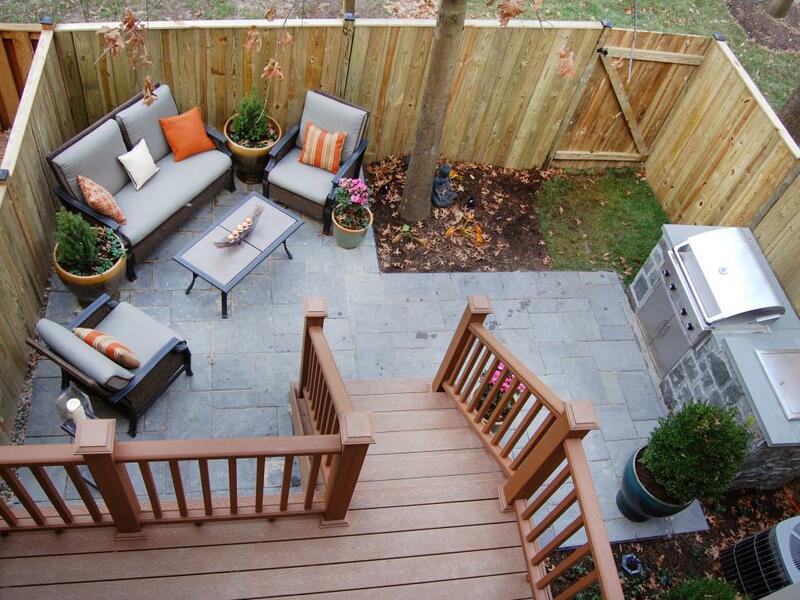 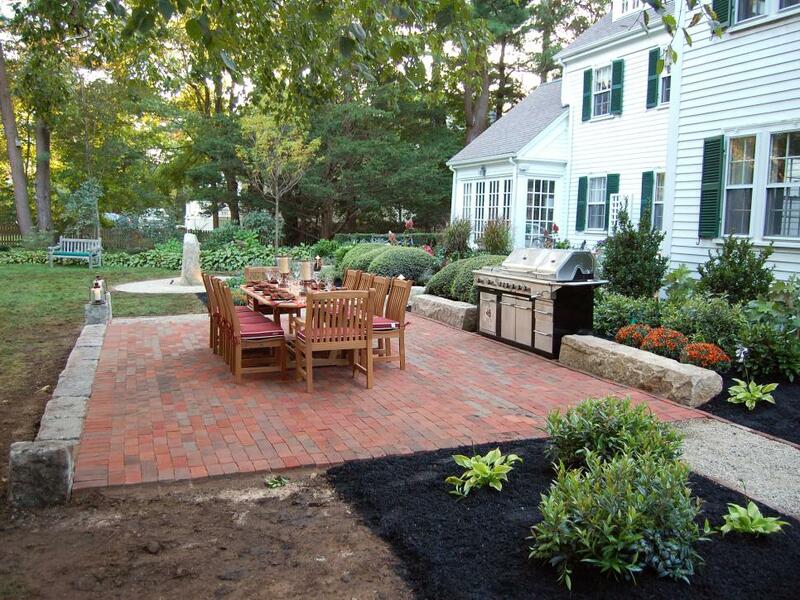 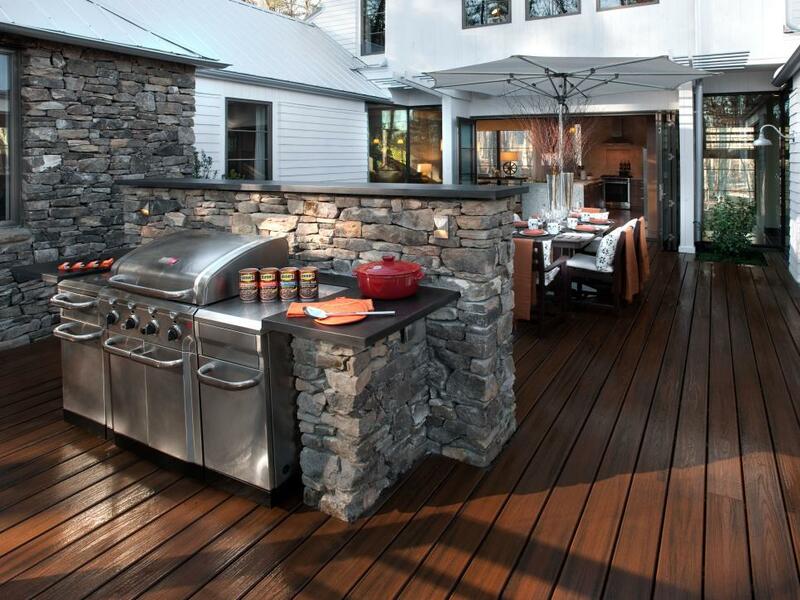 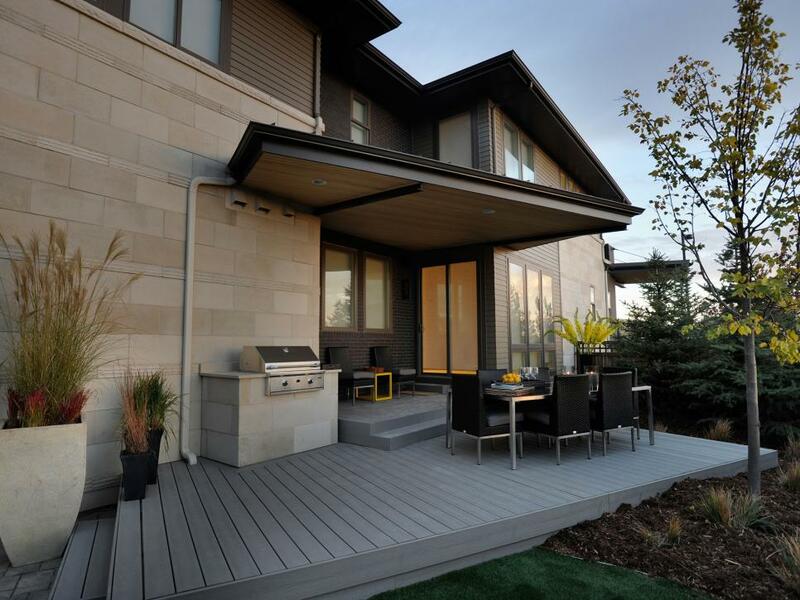 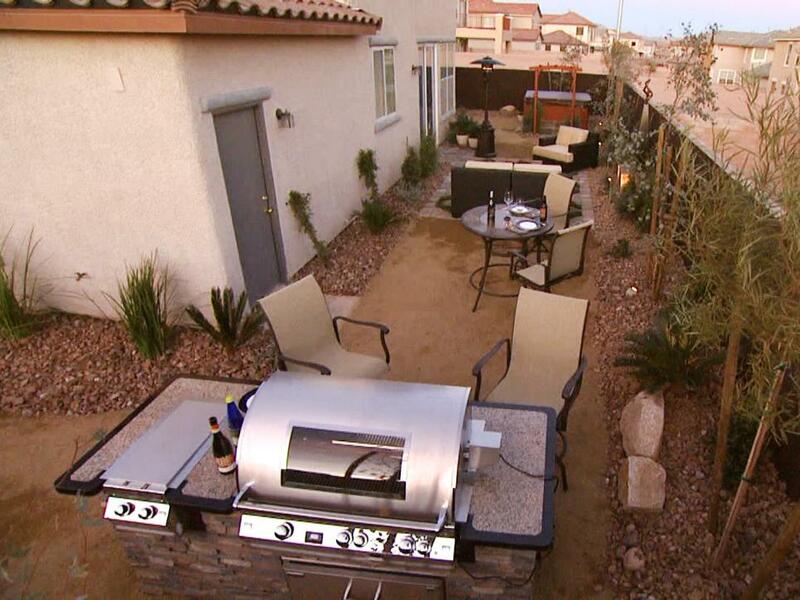 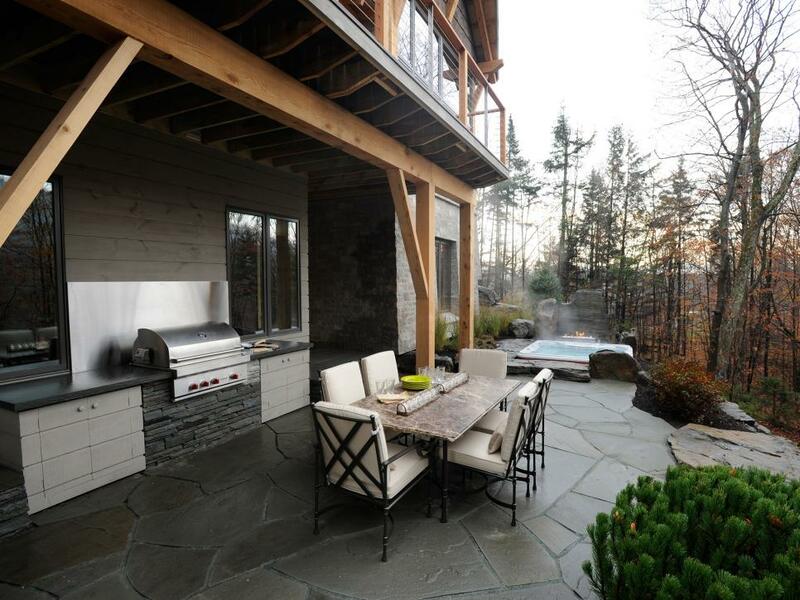 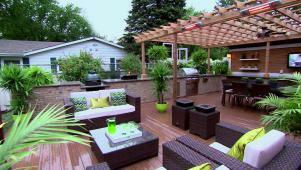 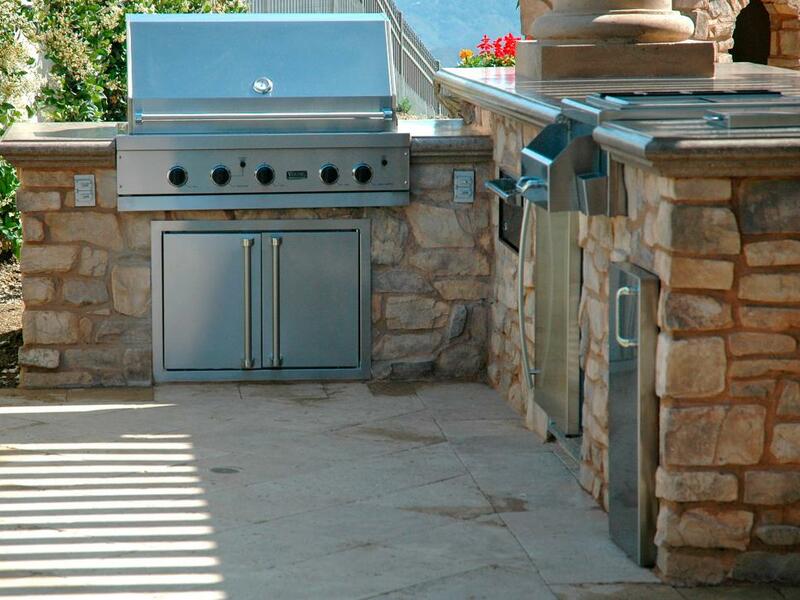 Add functionality to your deck or patio by installing a kitchen. 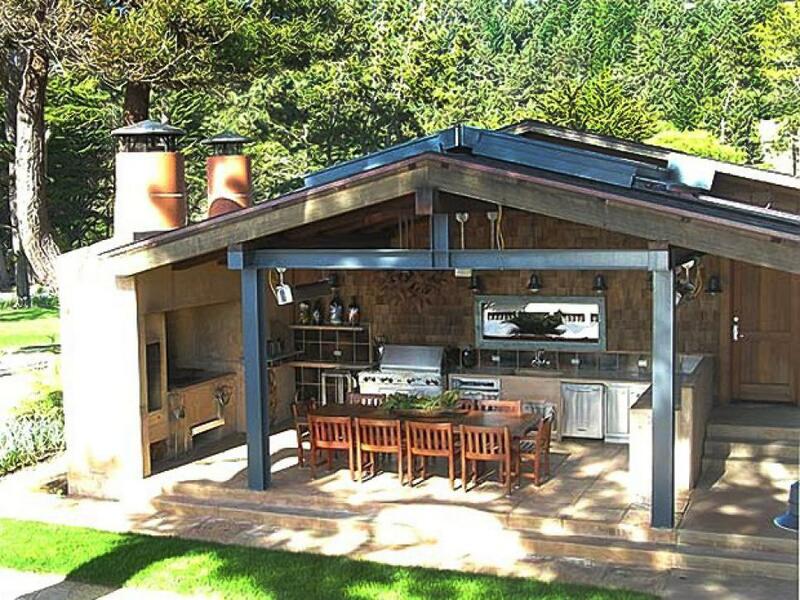 Choosing prefab rather than having an outdoor kitchen custom-designed cuts down on time and cost because the design work is already done for you. 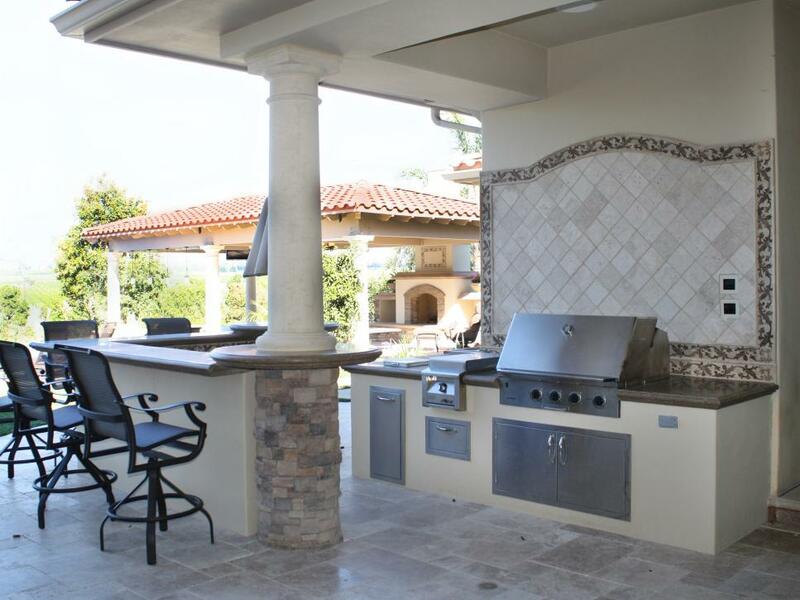 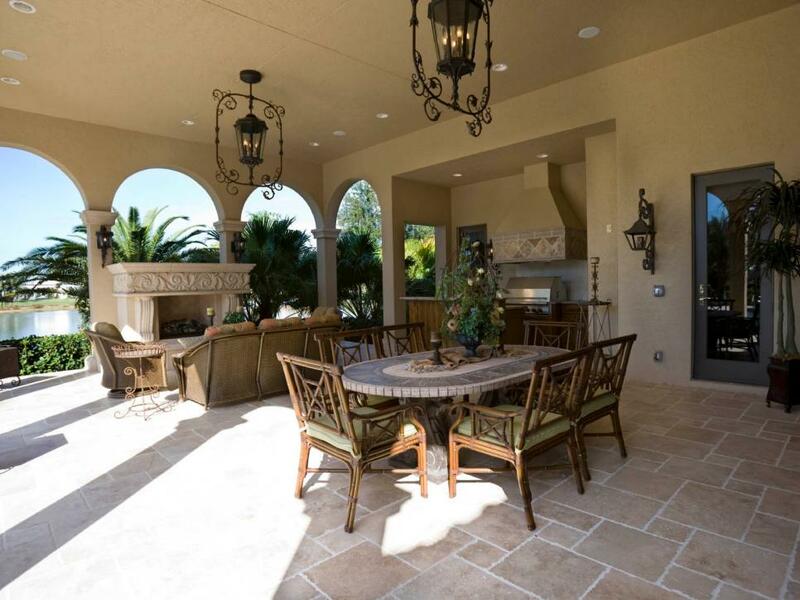 Choose from stacked stone, granite, tile or stucco to create the outdoor kitchen that looks best with your existing space. 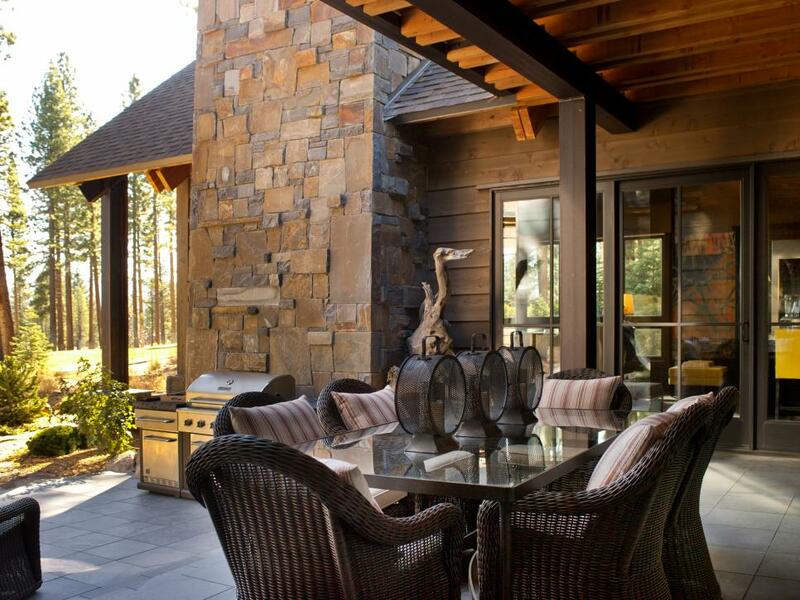 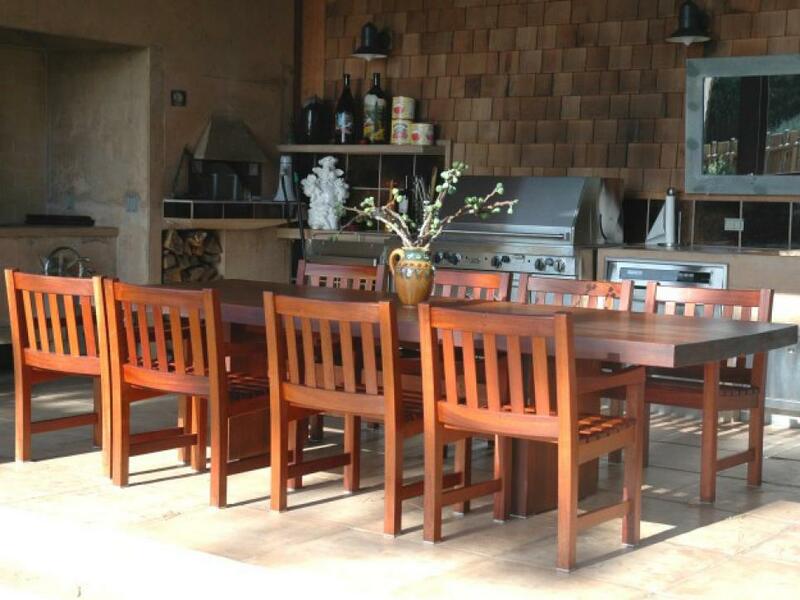 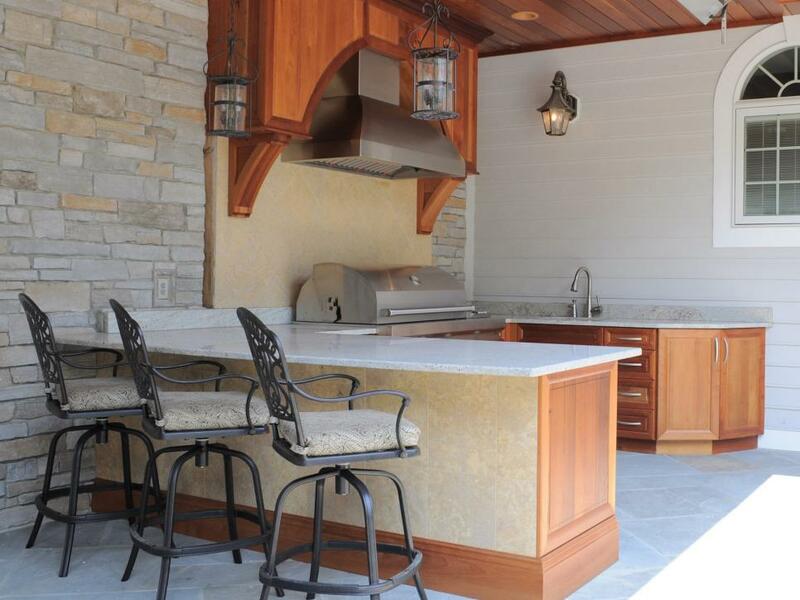 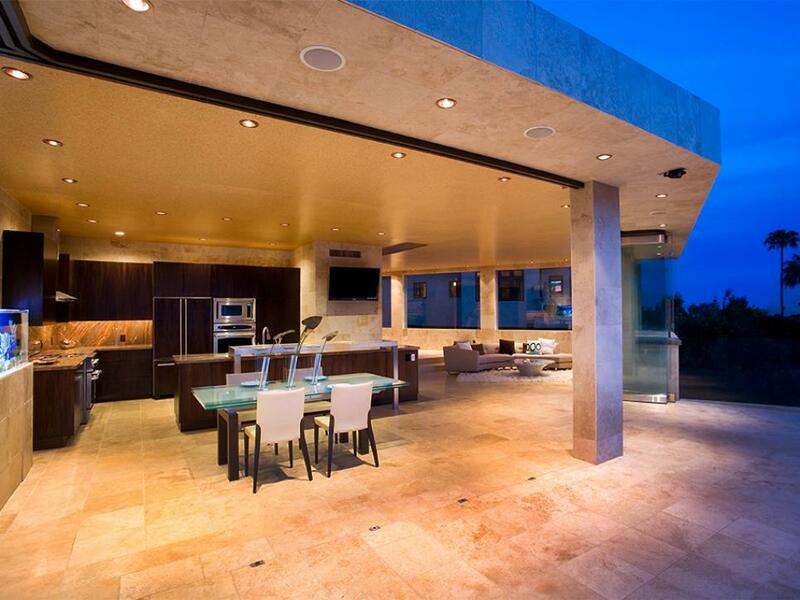 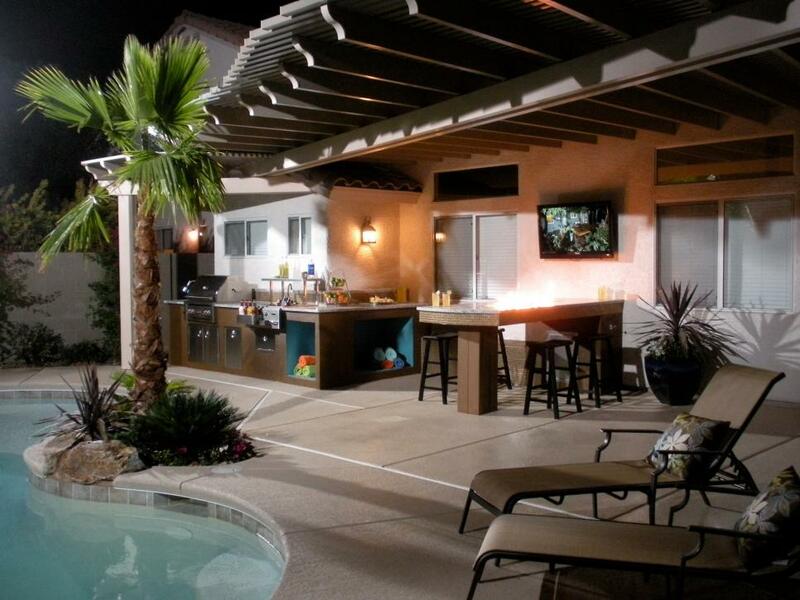 Just because outdoor kitchen kits are prefabricated doesn't mean you can't have a custom look. 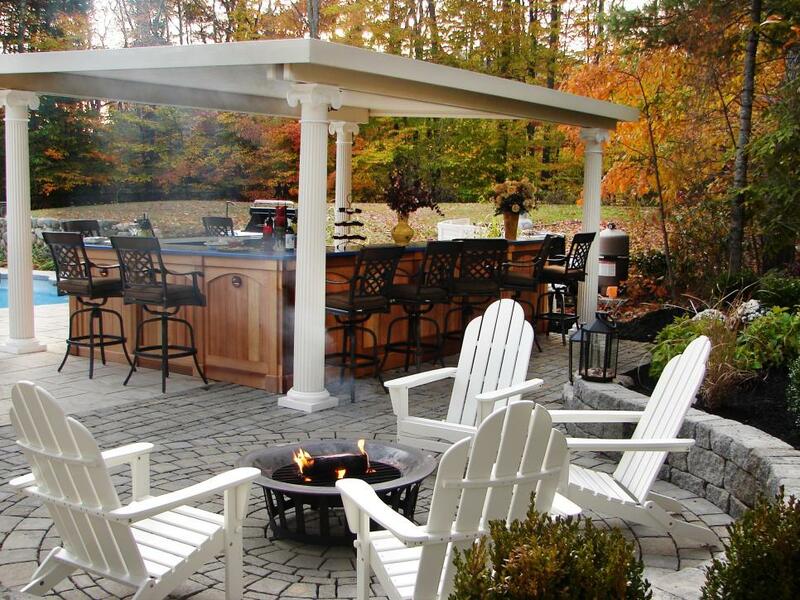 Many companies that offer prefab kits that can be arranged or finished to fit your desired style. 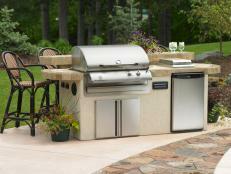 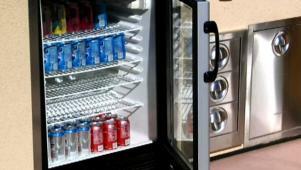 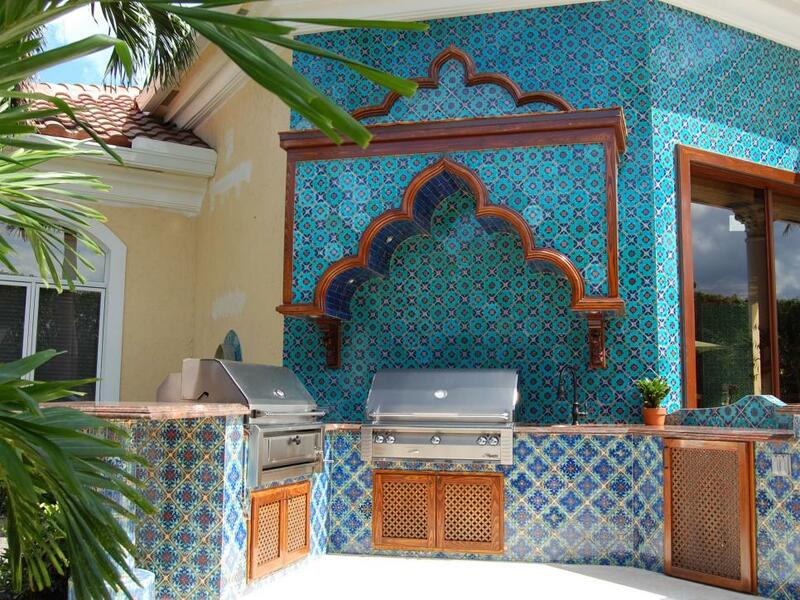 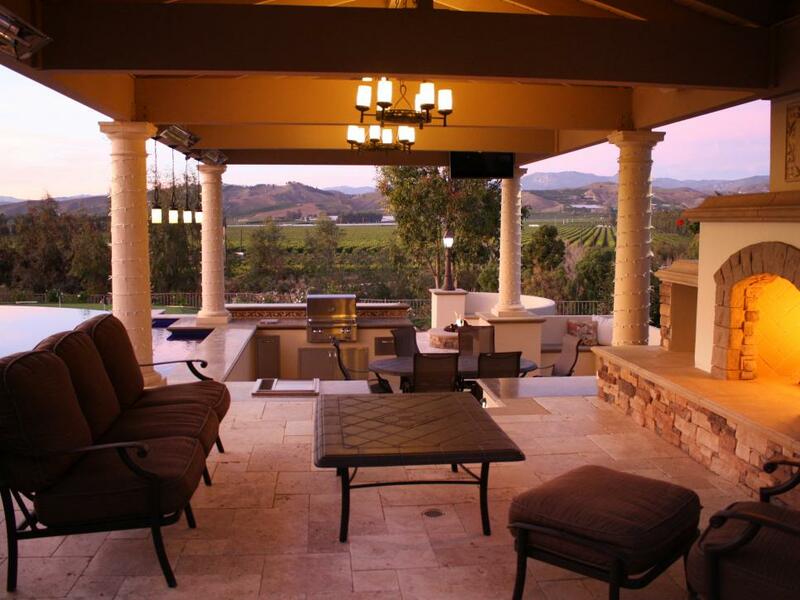 Outdoor kitchen kit manufacturer WerEver offers a variety of custom styles and materials to suit your specific needs. 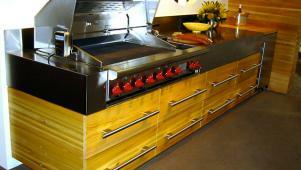 They also manufacture unfinished kits that you can finish however you like. 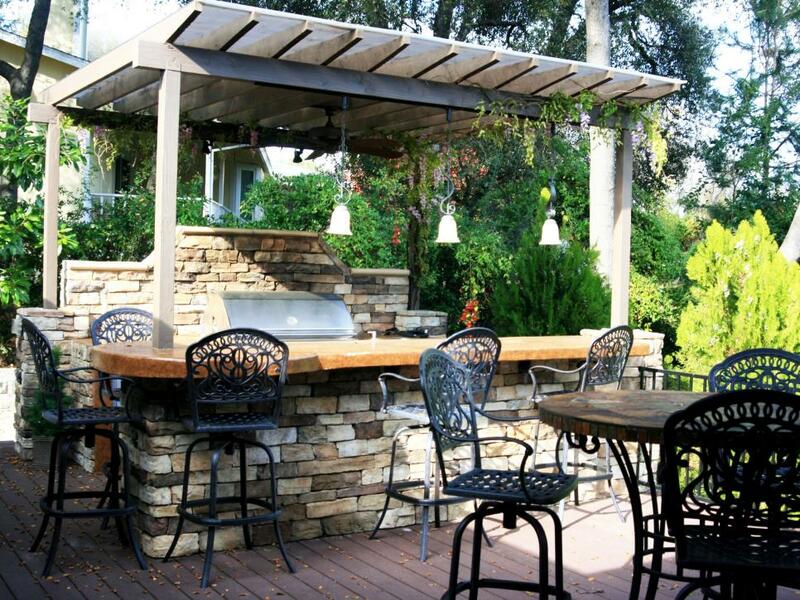 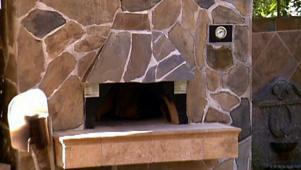 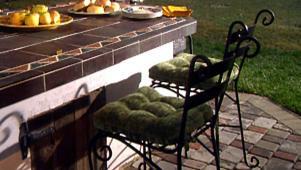 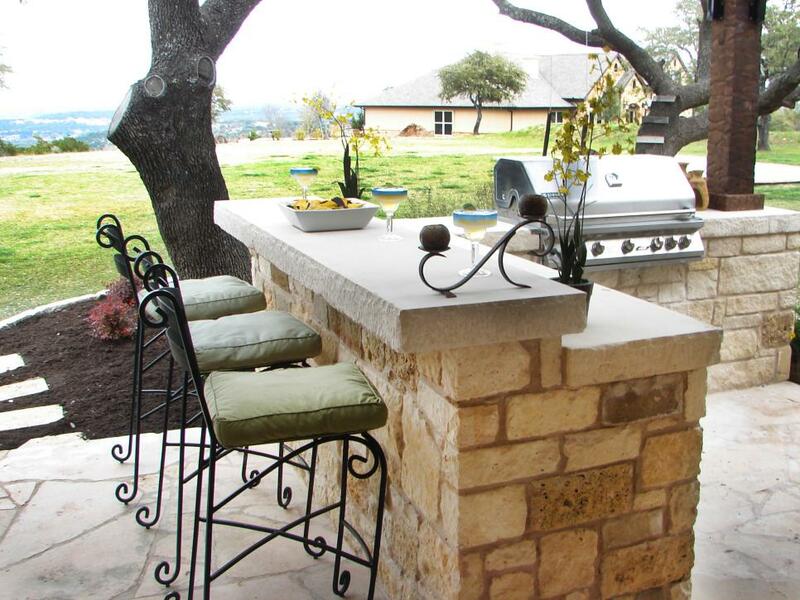 With a little DIY know-how, you can paint, stucco or stack stone to give your outdoor kitchen the look you want. 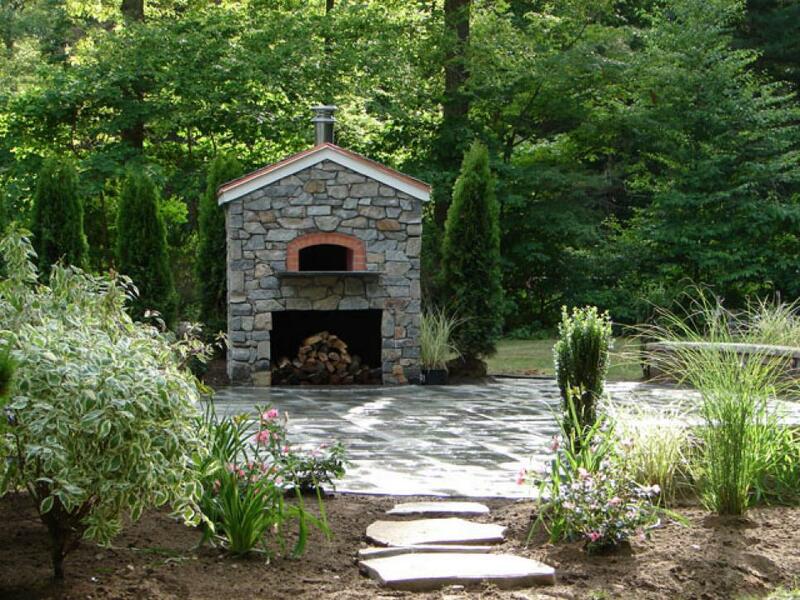 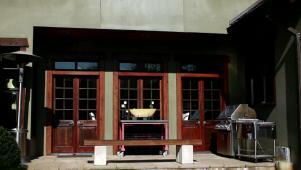 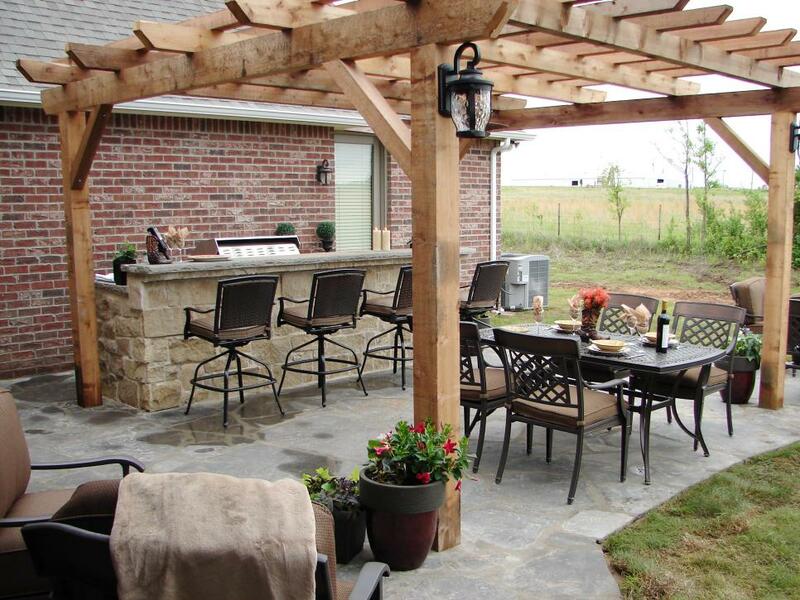 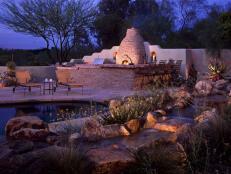 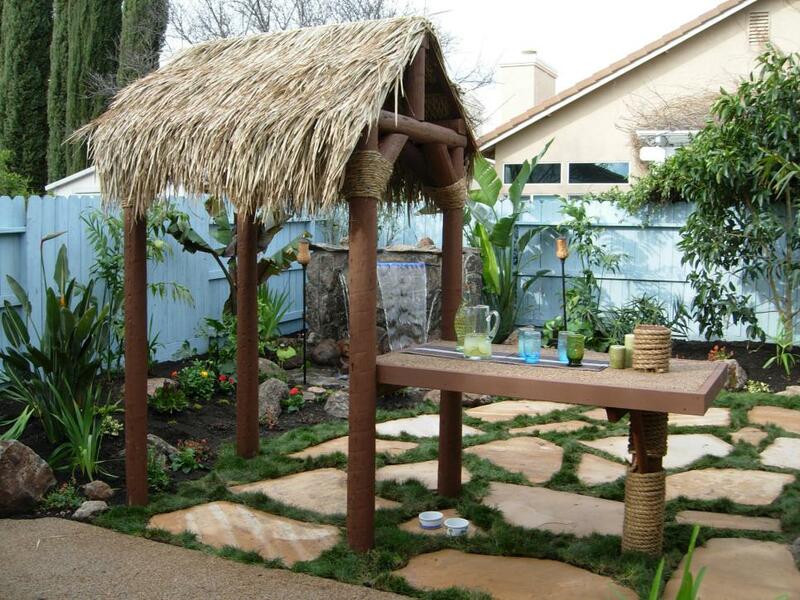 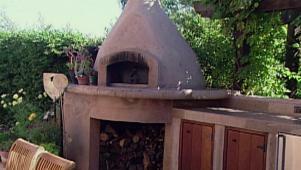 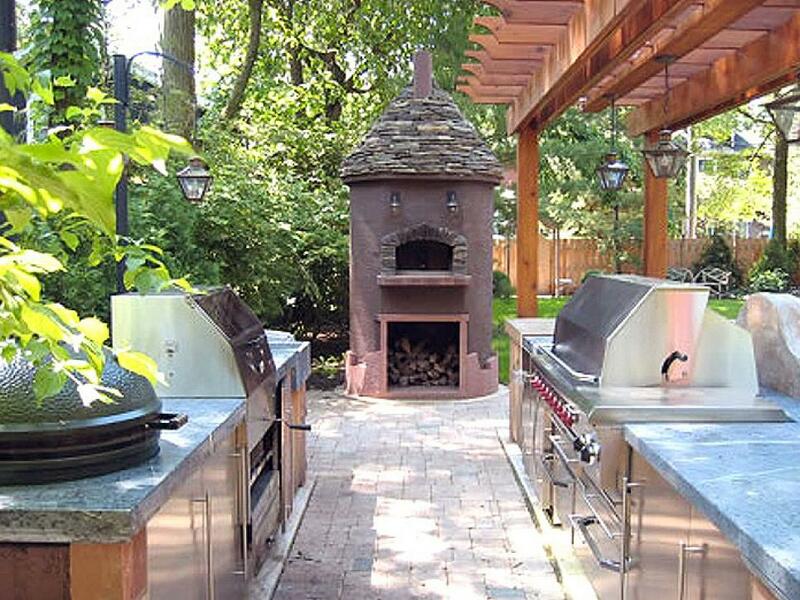 Building an outdoor kitchen using traditional construction may take weeks, not to mention the cost of labor. 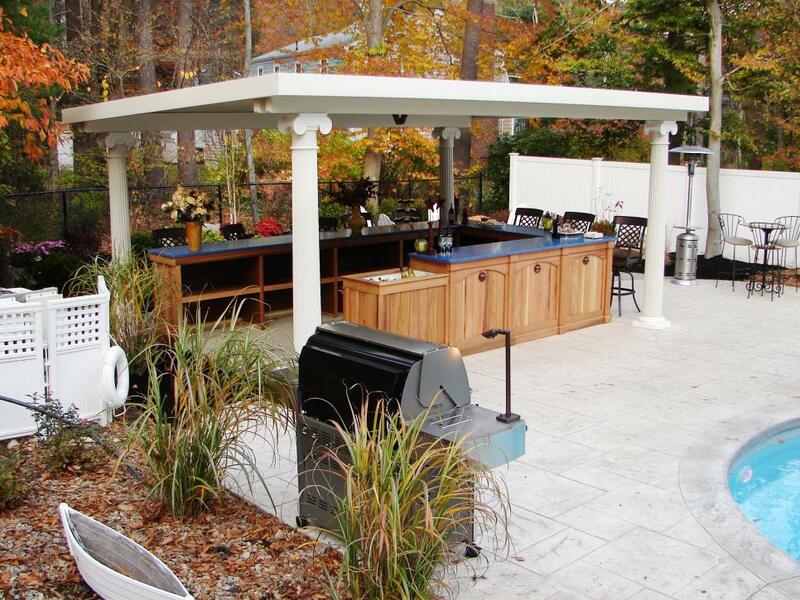 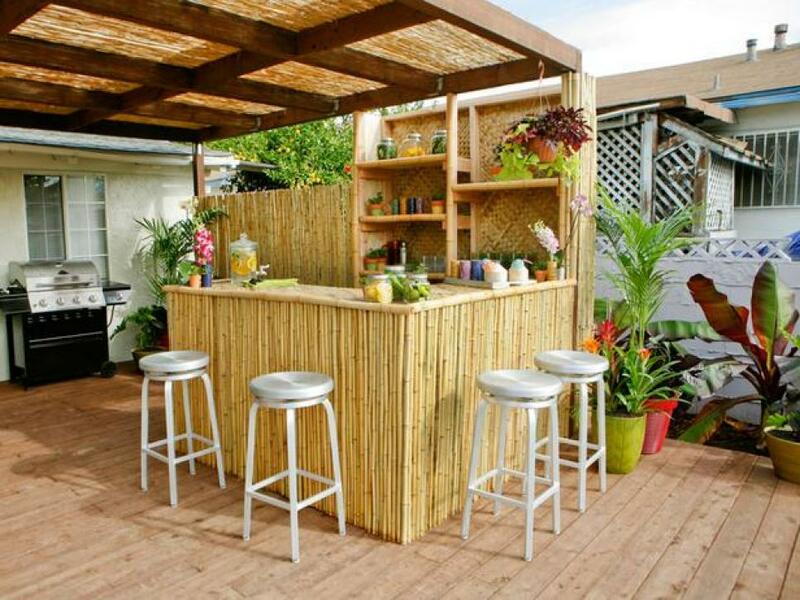 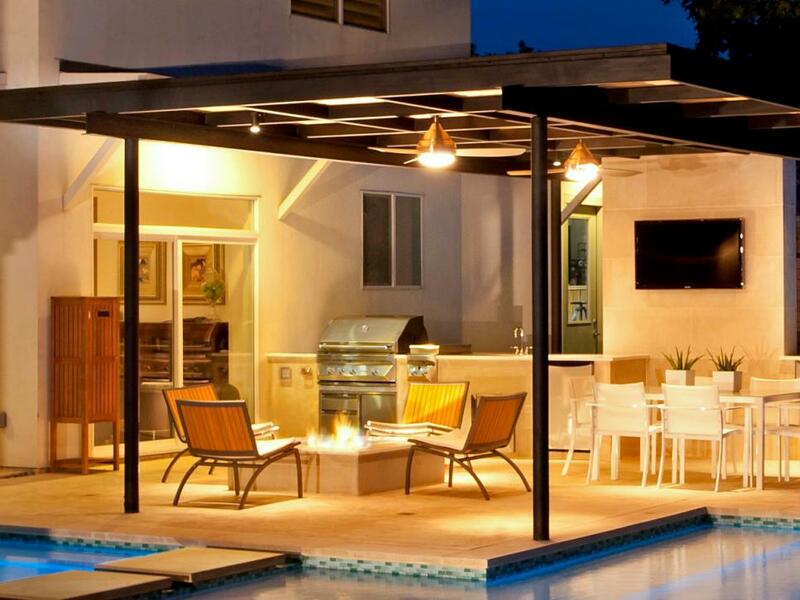 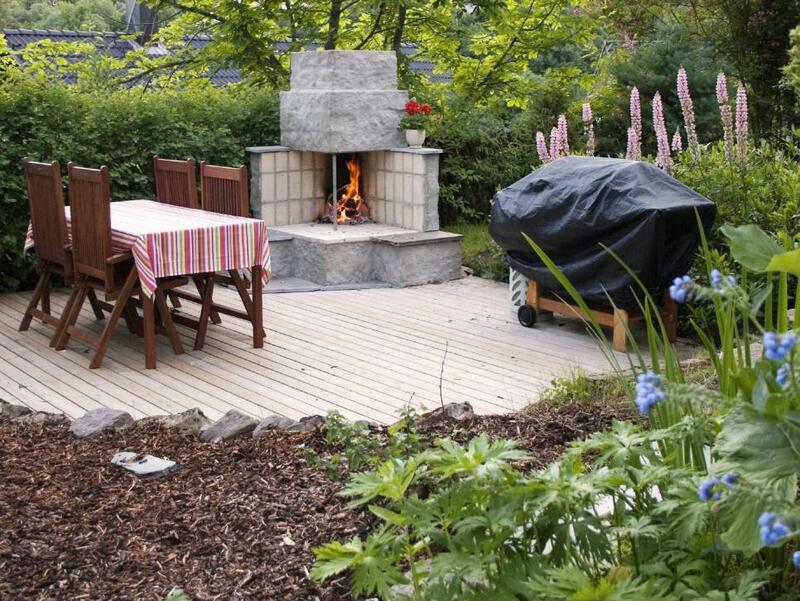 However, constructing an outdoor kitchen using a prefab kit can take as little as four hours. 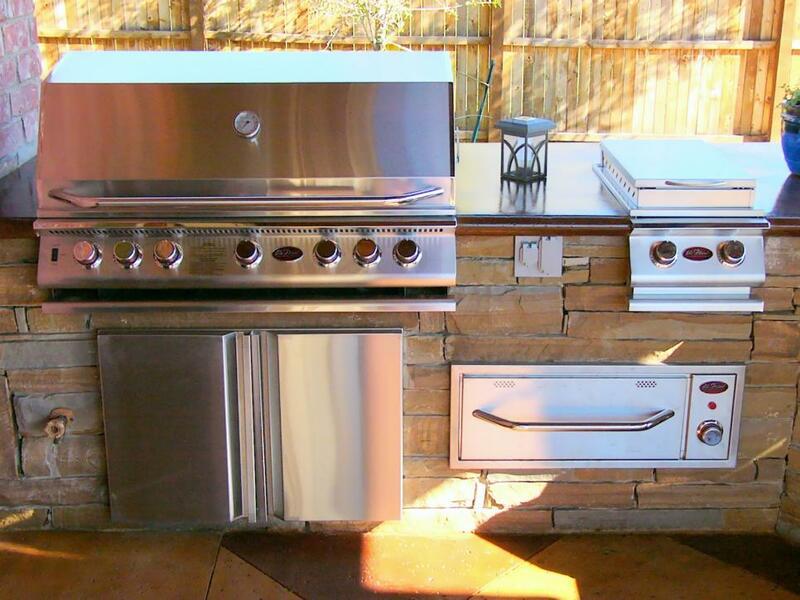 This could reduce your budget by as much as 40 percent, and your outdoor kitchen will be ready to use the very same day. 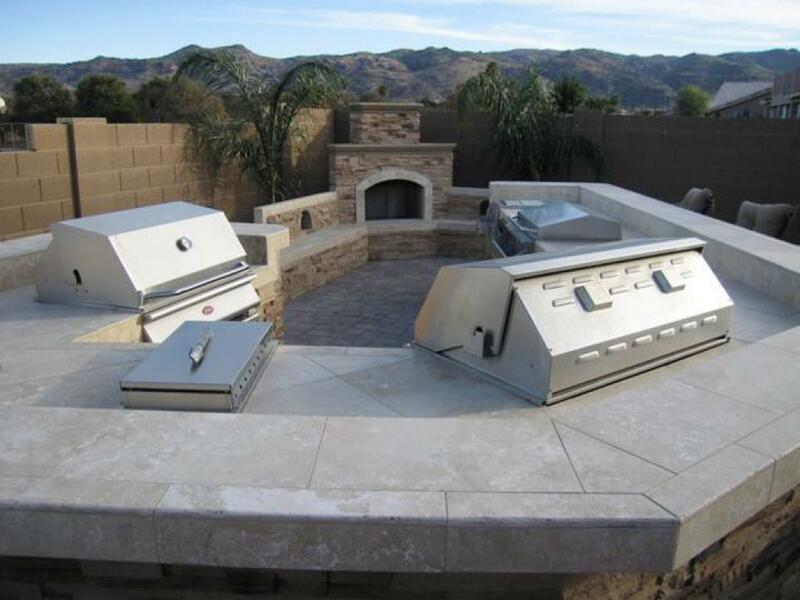 Outdoor kitchen kits are designed to be a do-it-yourself project, so a level surface is the main requirement for installation. 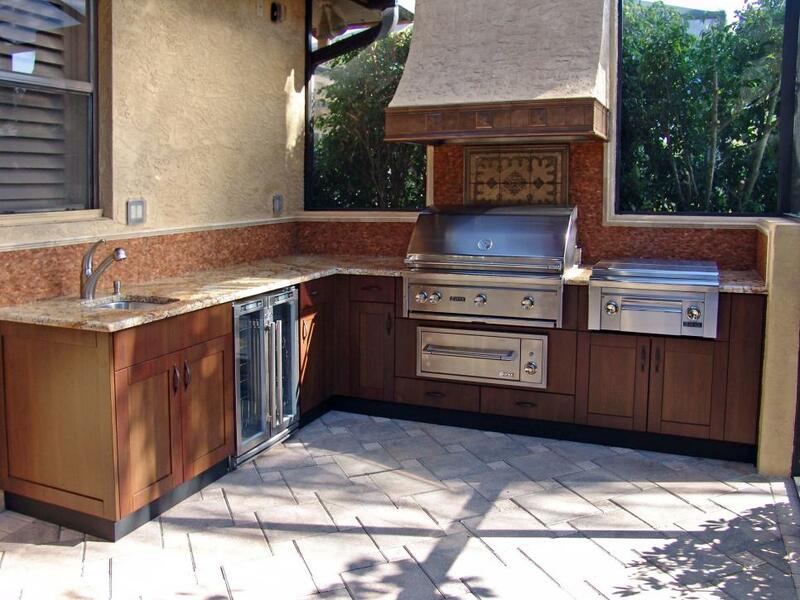 Many modular outdoor kitchens are easily installed on concrete, brick or pavers with little to no additional labor costs. 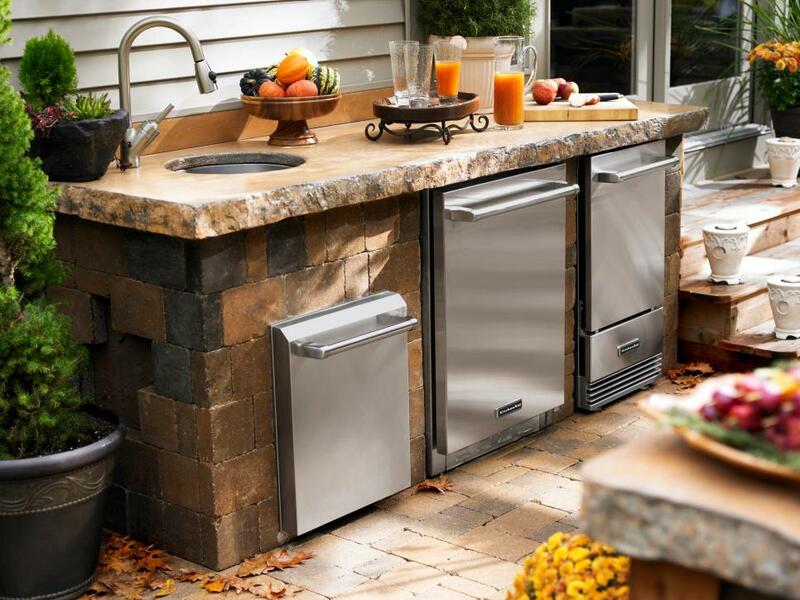 Depending on your budget and the space where it will go, your kitchen may require plumbing, gas or electricity. 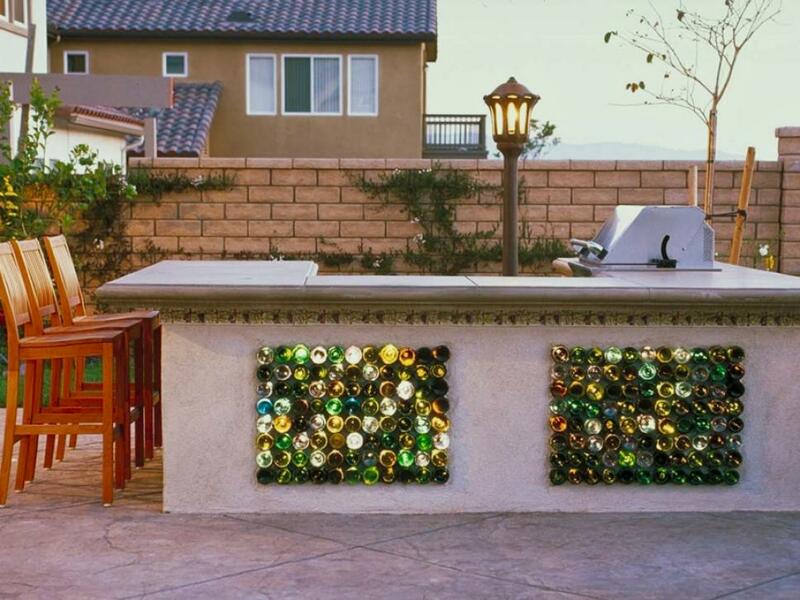 You may want to speak with a contractor about the cost and logistics of installing these before you order a prefab kit. 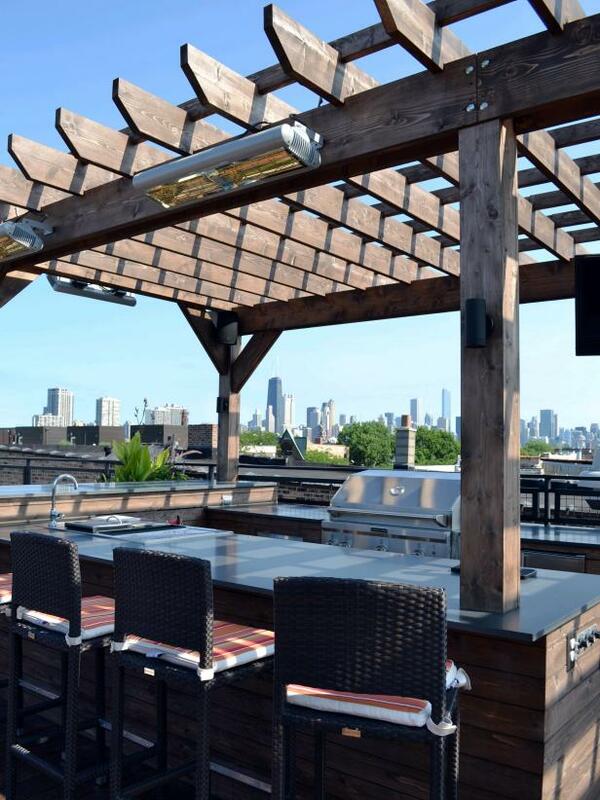 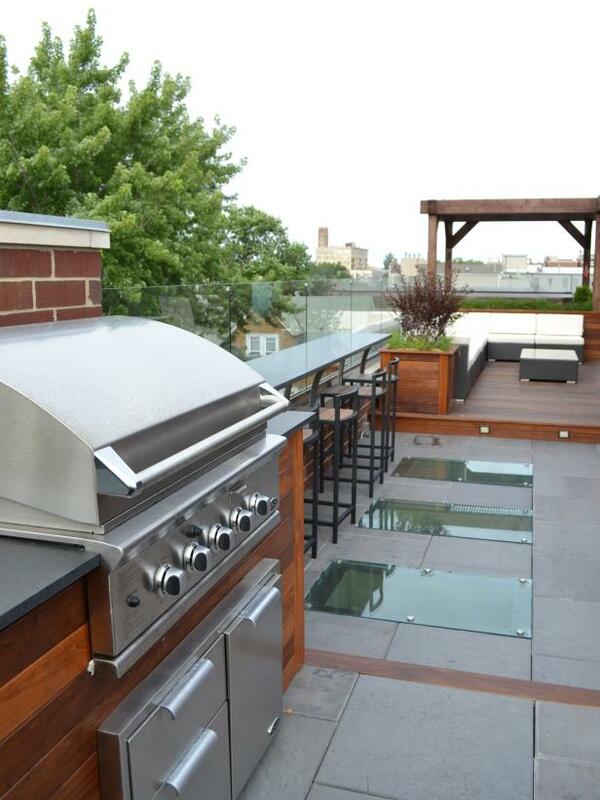 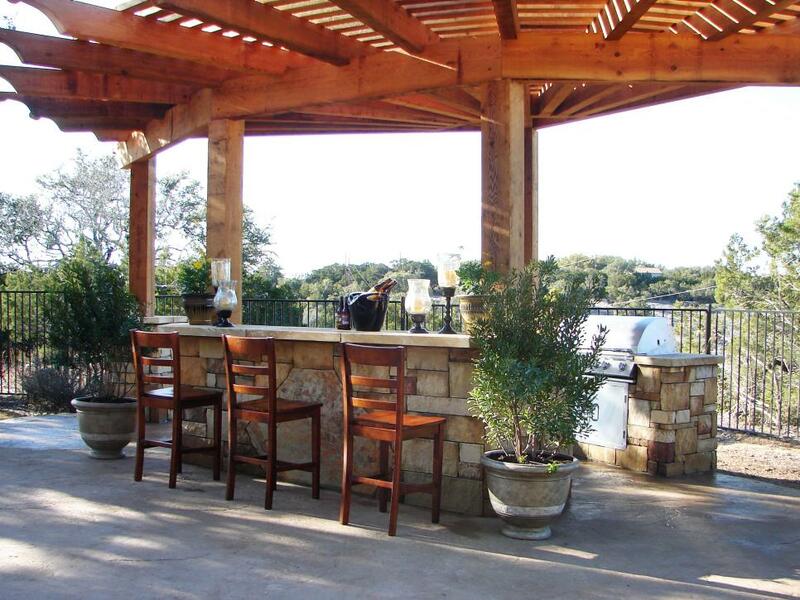 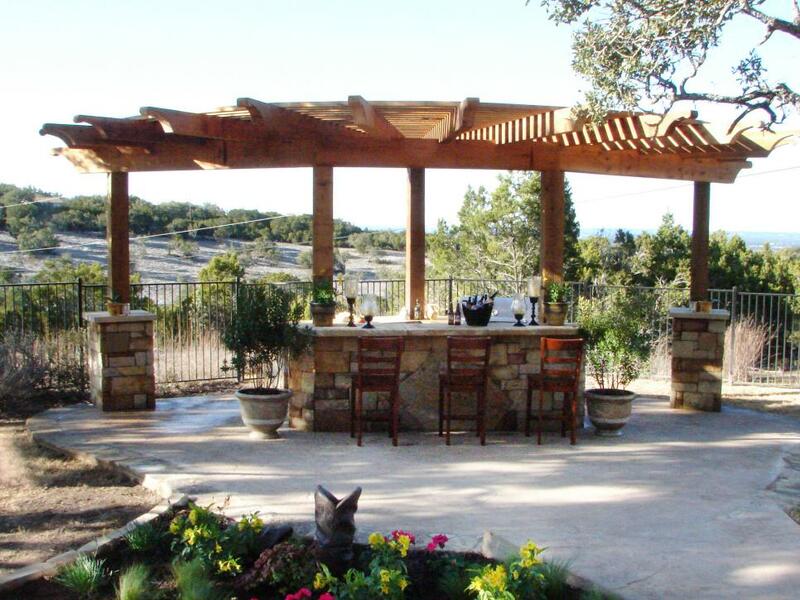 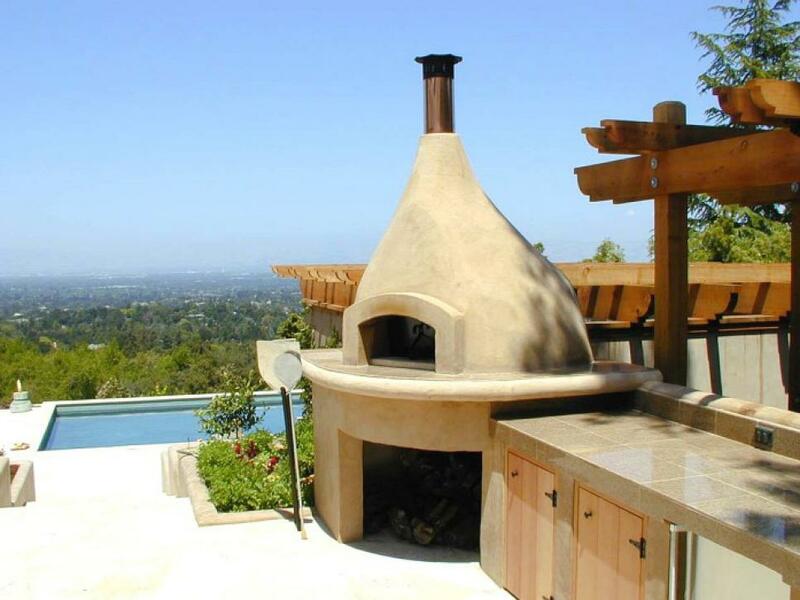 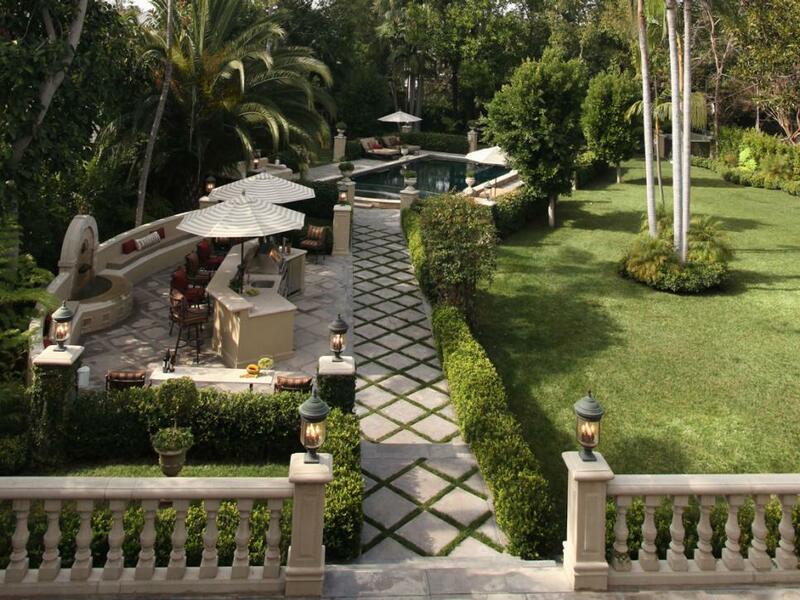 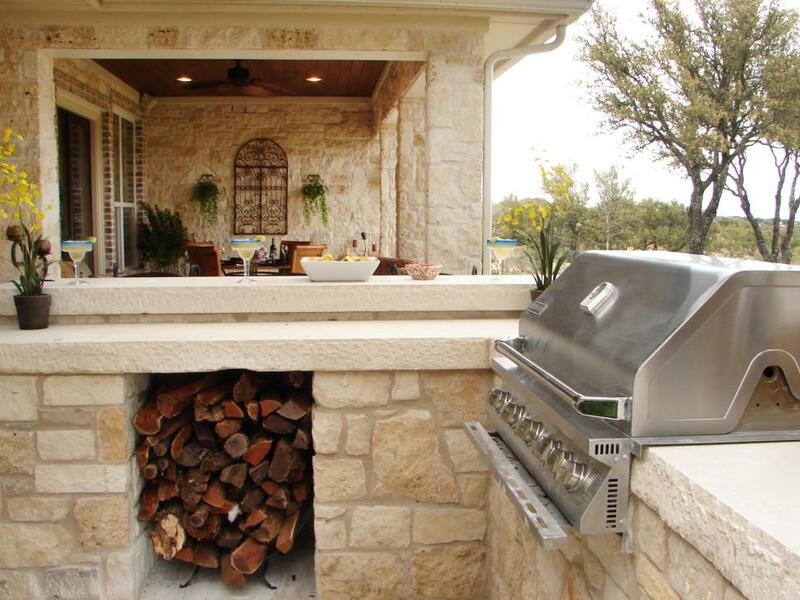 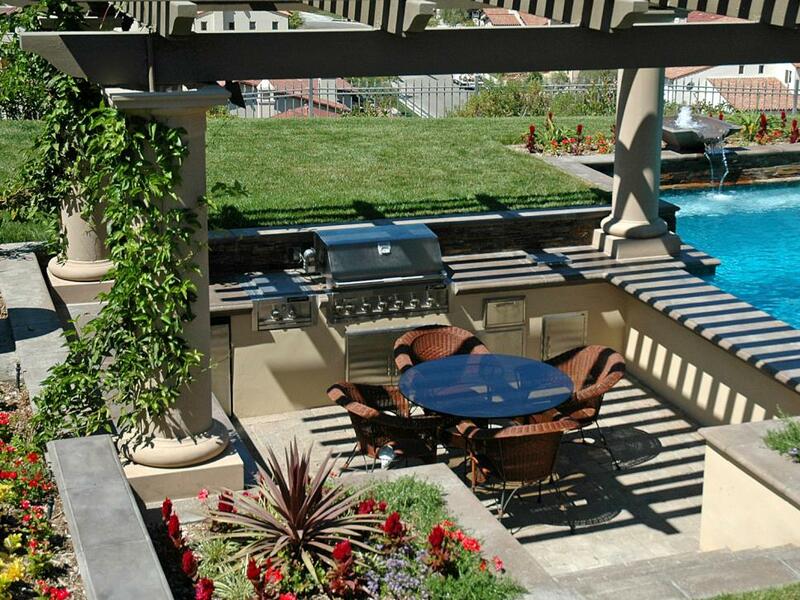 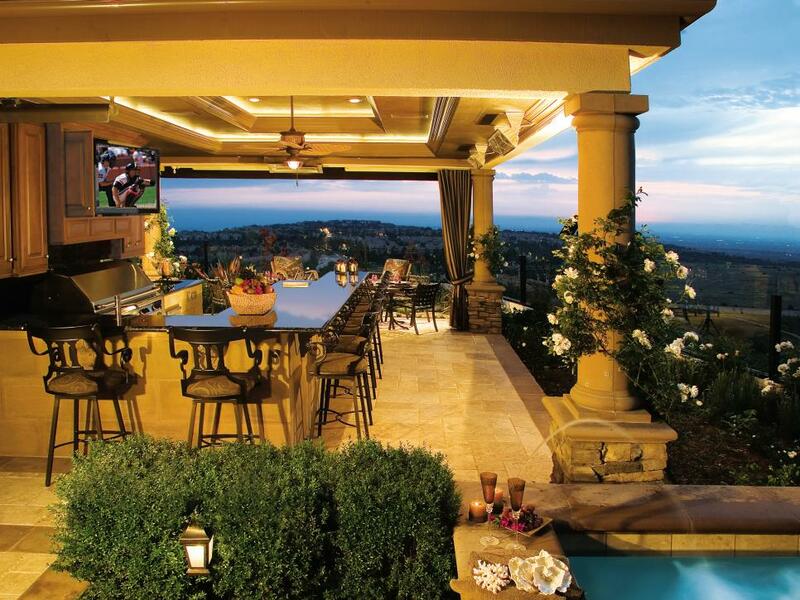 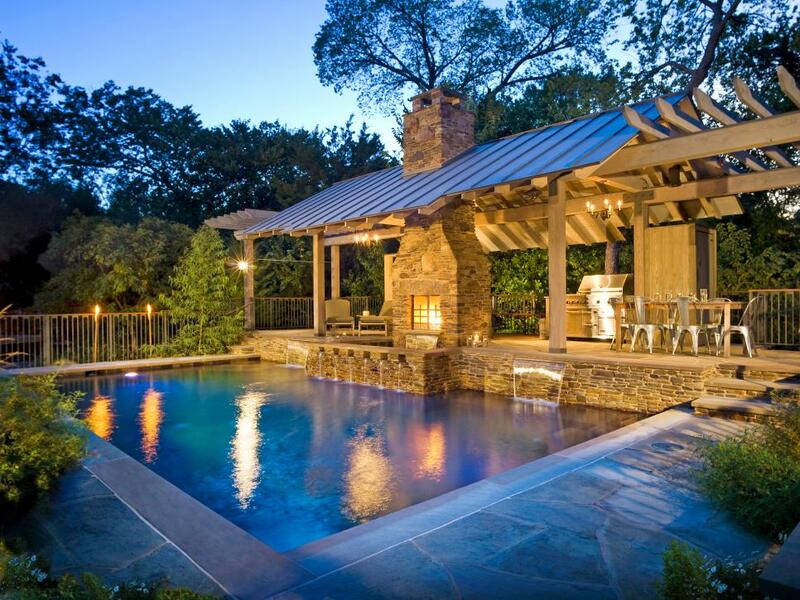 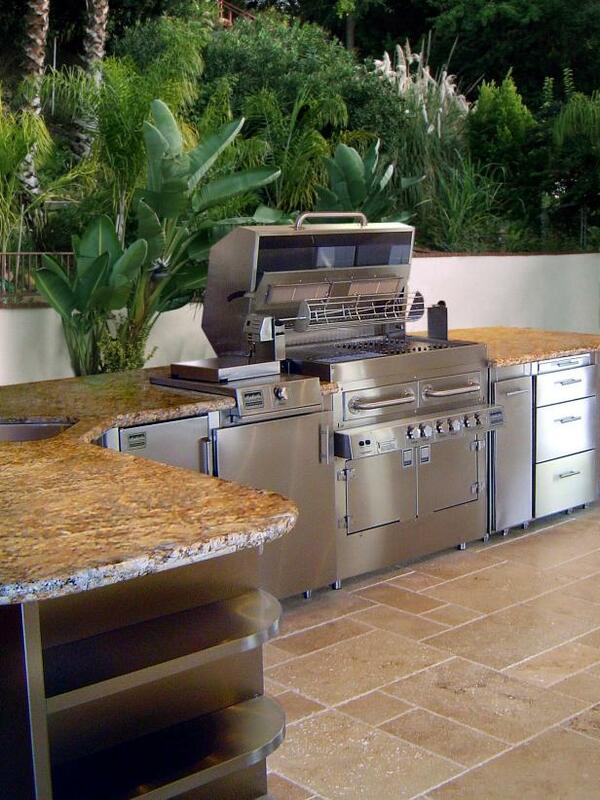 When you're designing your outdoor kitchen, start at the top. 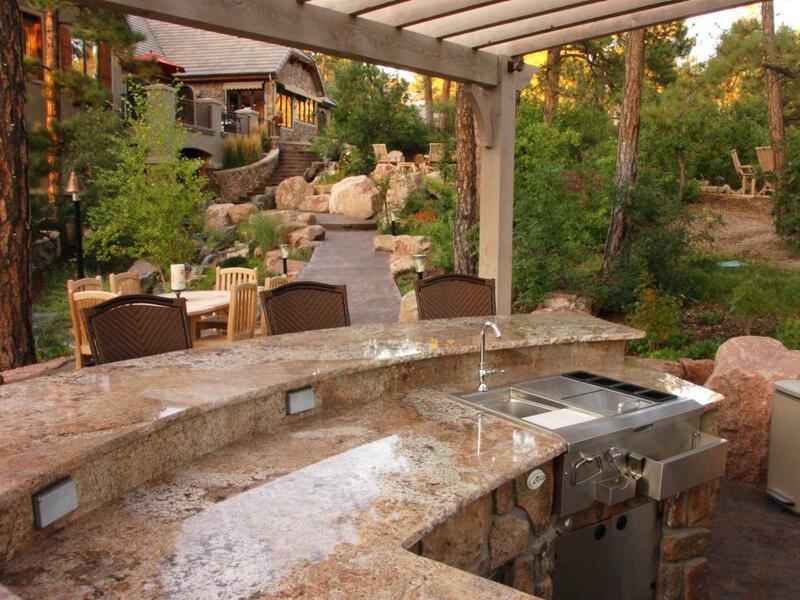 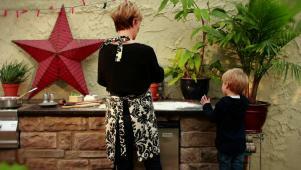 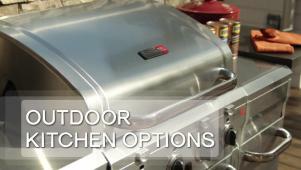 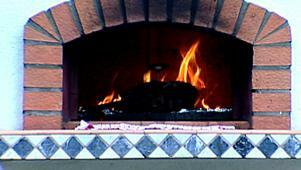 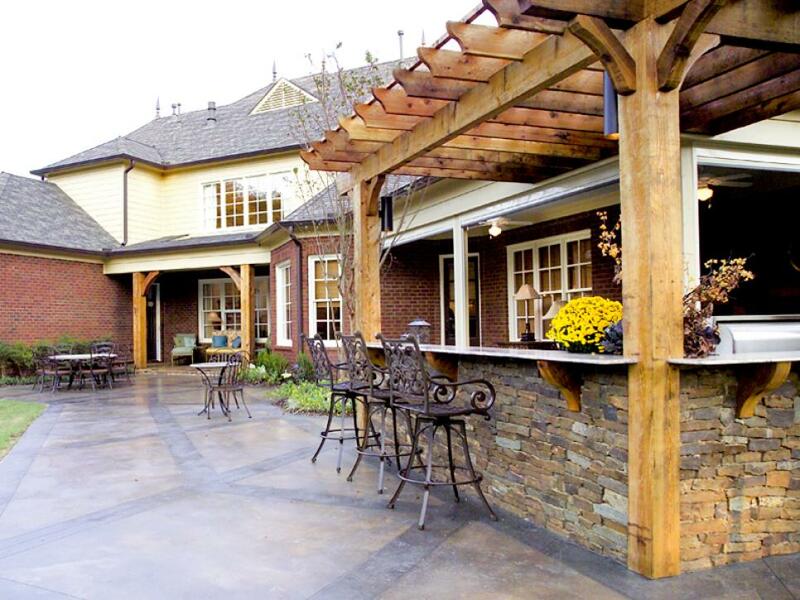 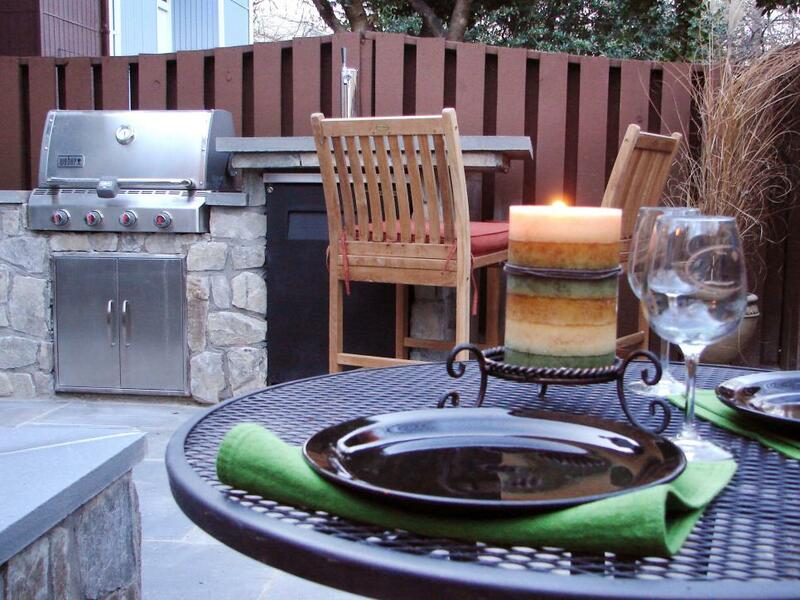 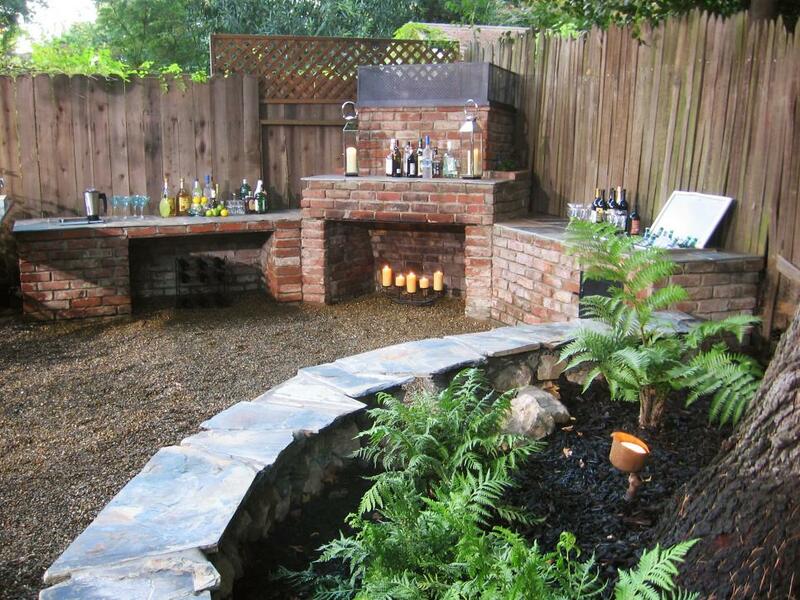 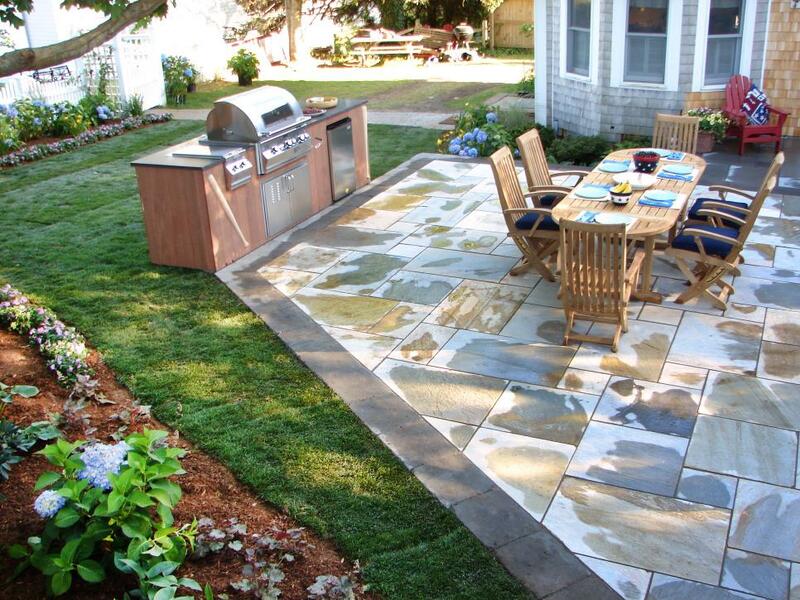 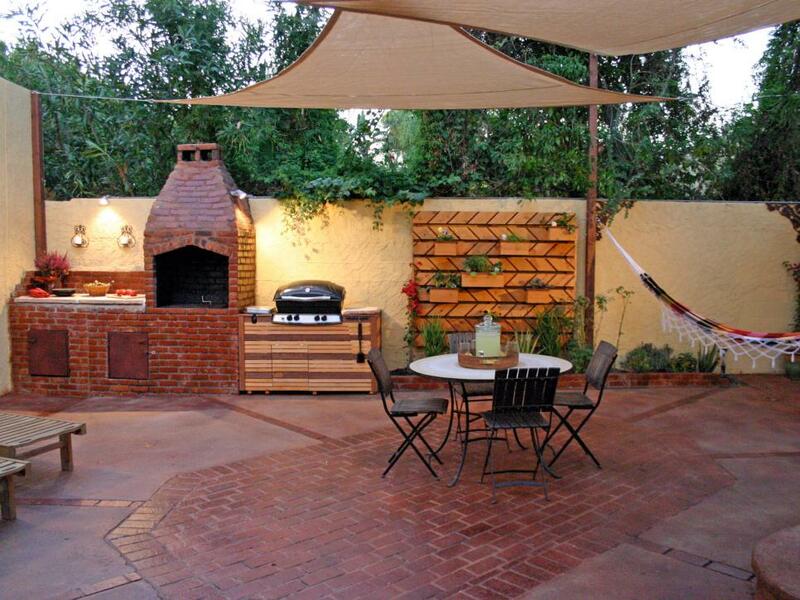 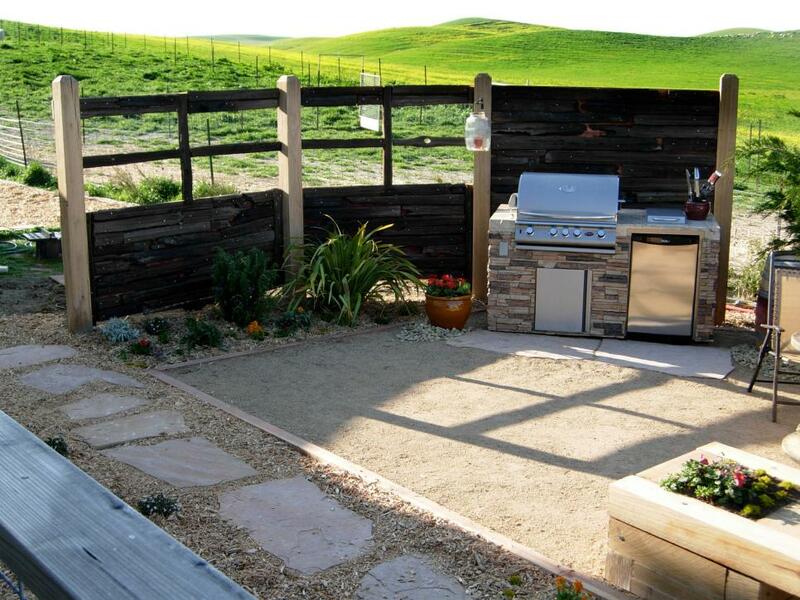 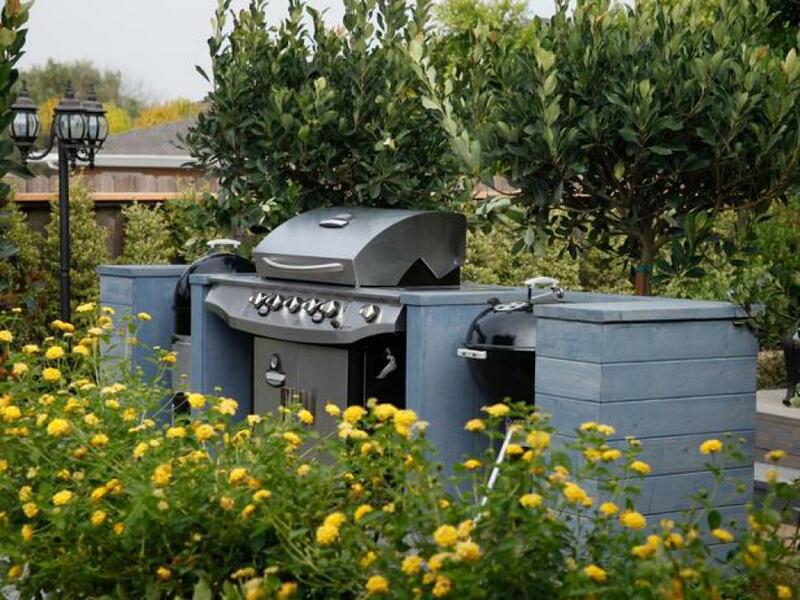 What are the most important functions you want your outdoor kitchen to serve? 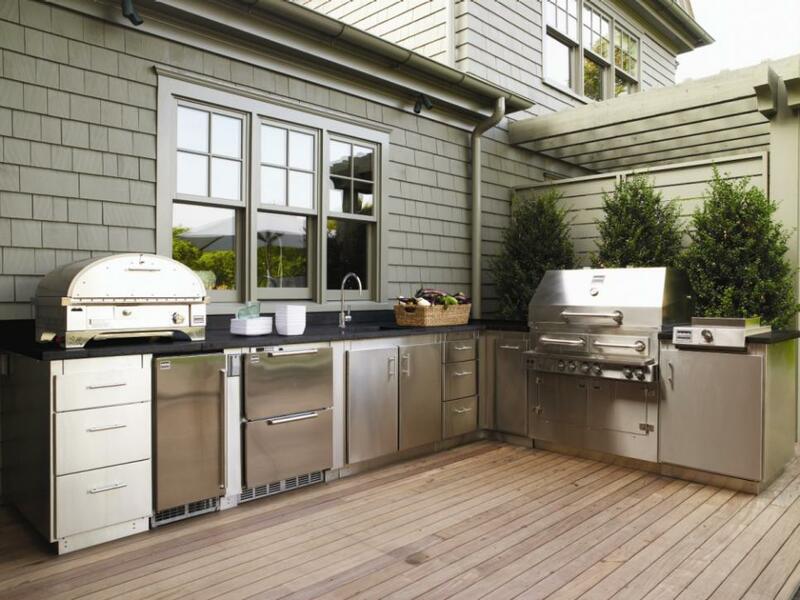 If you have a smaller space, stick with the basics like a grill and some counter and cabinet space. 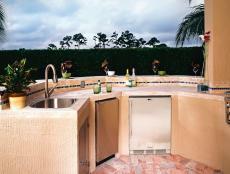 Modular outdoor kitchens can be designed to fit narrow, rounded, or otherwise hard-to-fit areas. 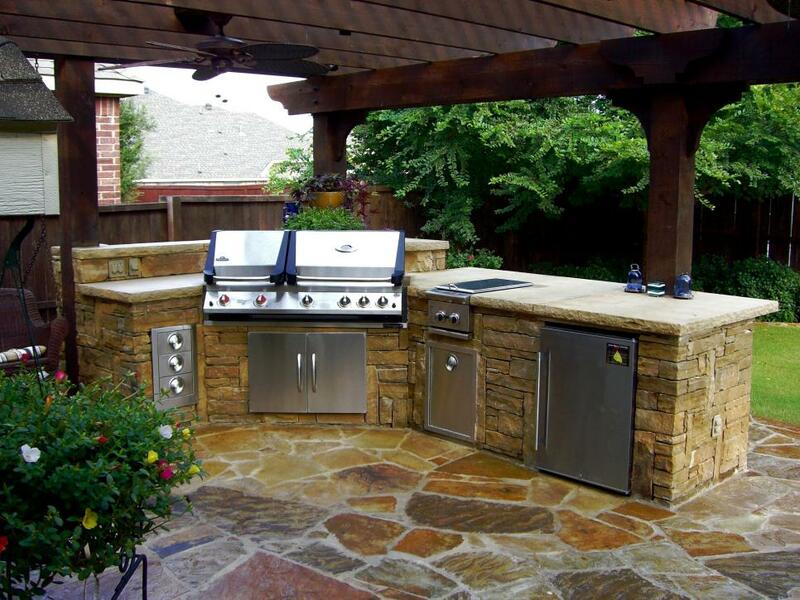 For smaller spaces like a patio or deck, choose an outdoor kitchen island with a propane grill and compact refrigerator. 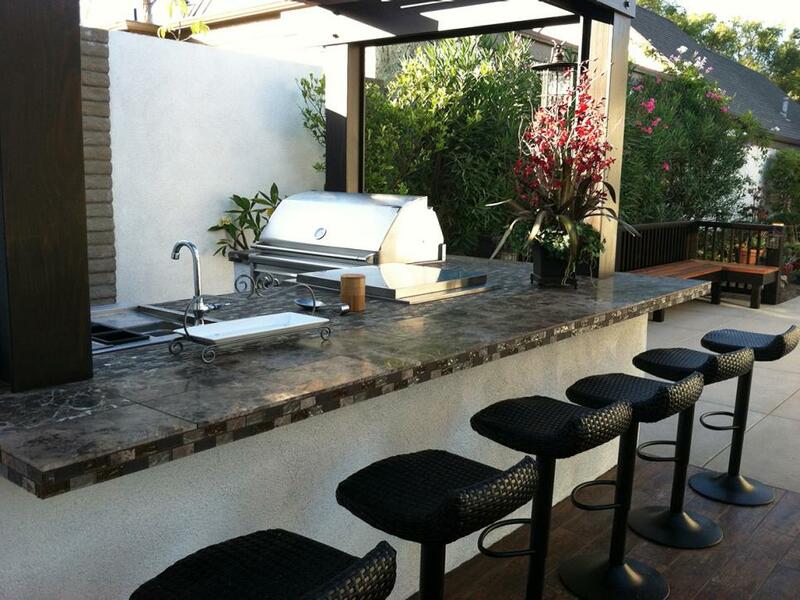 If you have a larger area to work with, you can include extra counter space and a bar area with seating for family and friends, or go high-end with accessories like a pizza oven and a wine cooler. 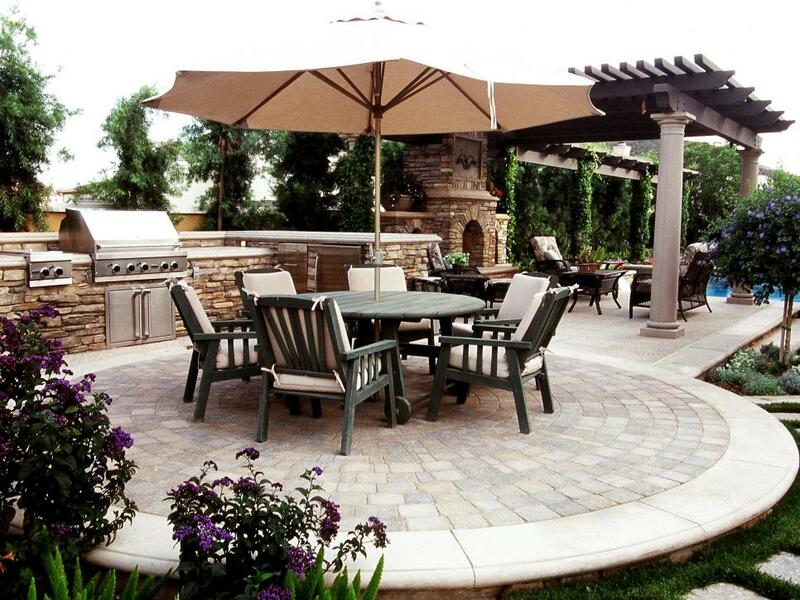 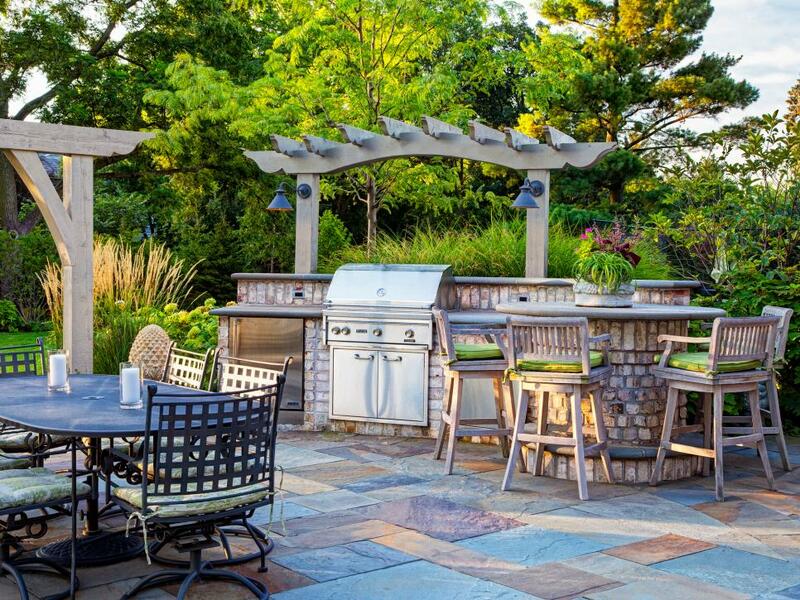 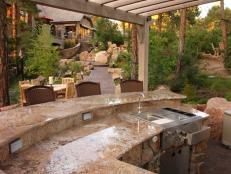 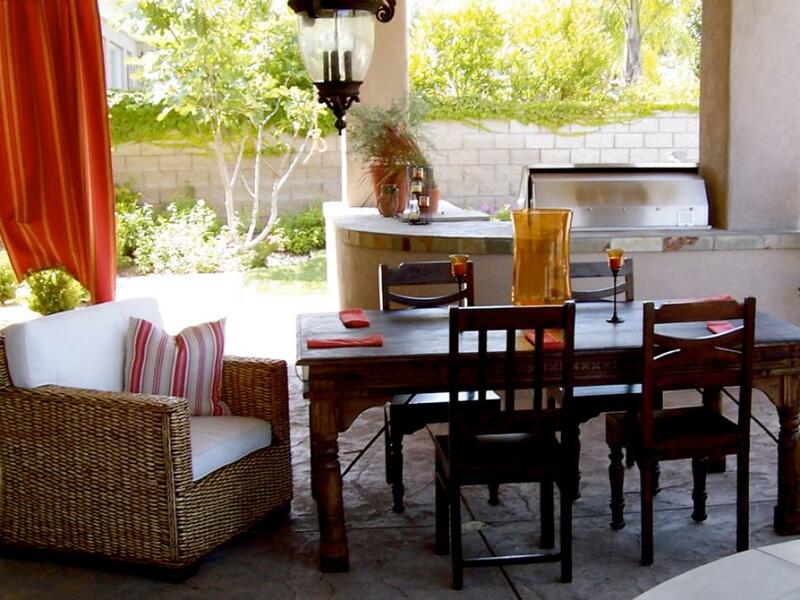 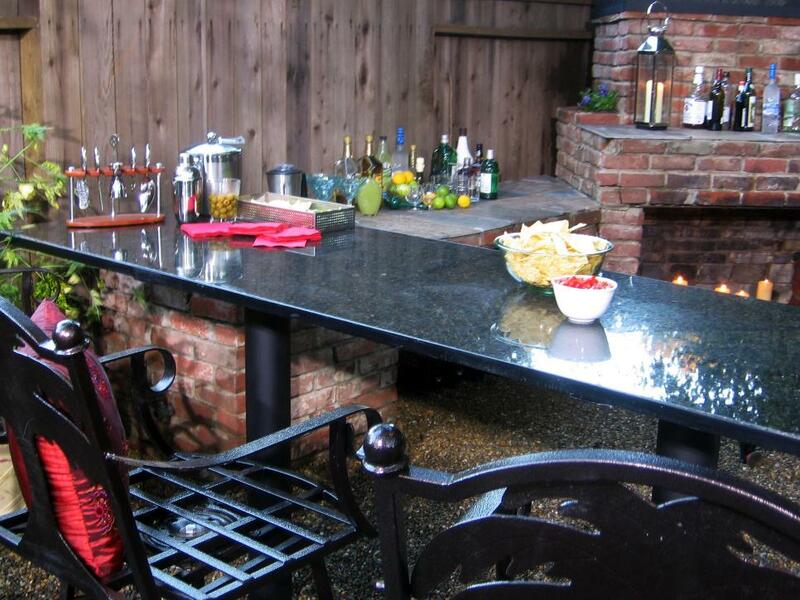 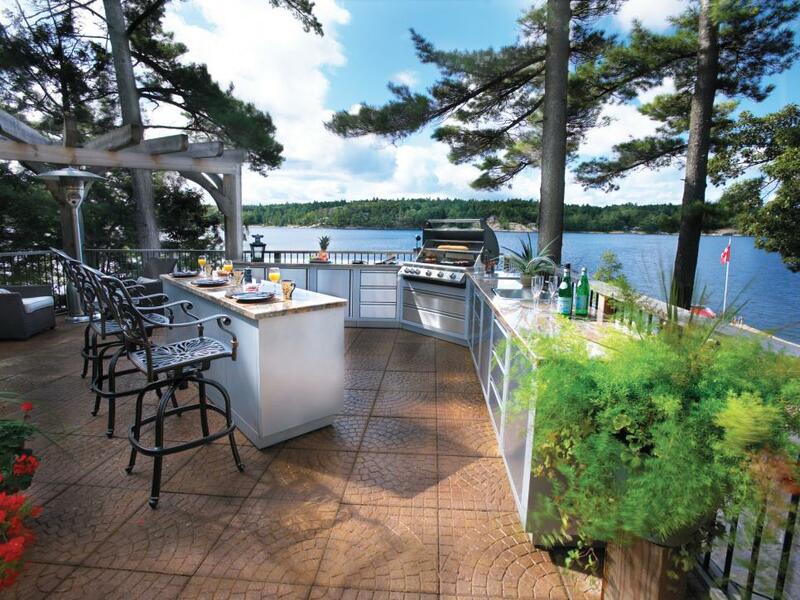 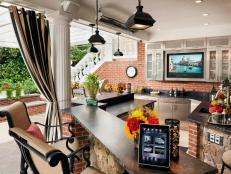 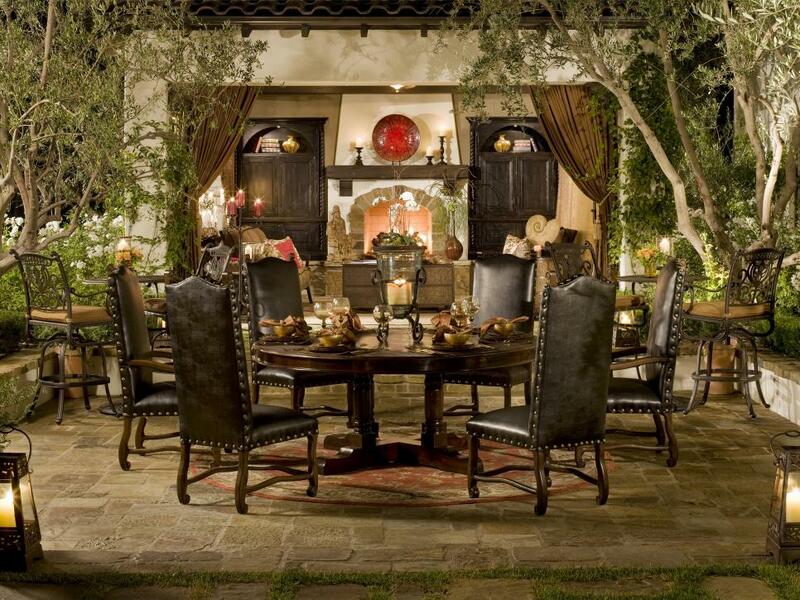 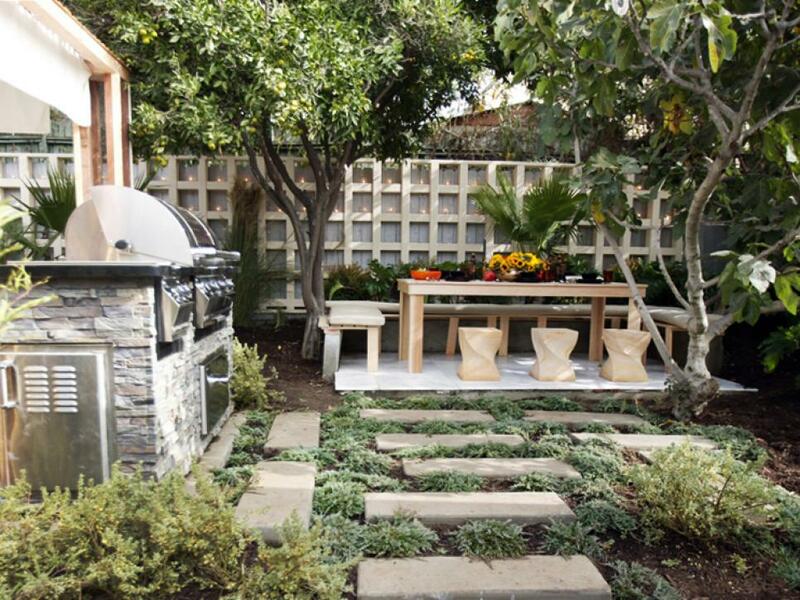 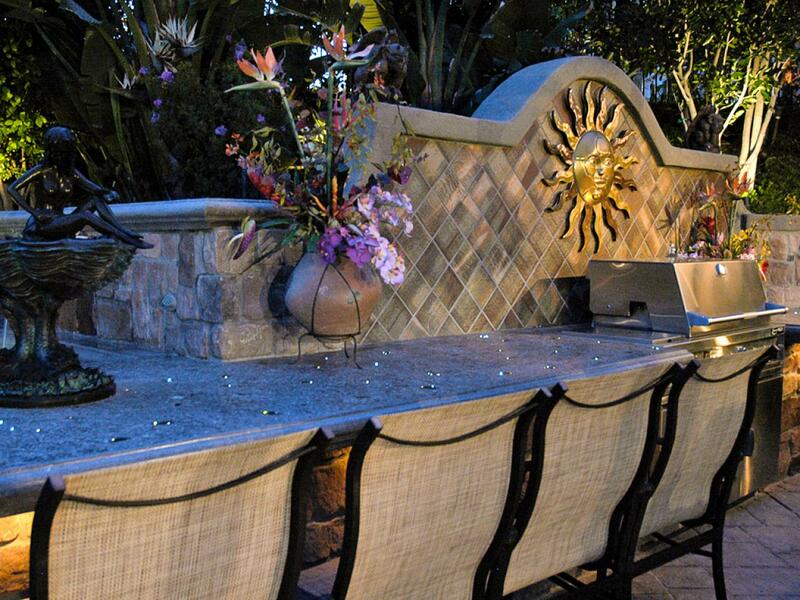 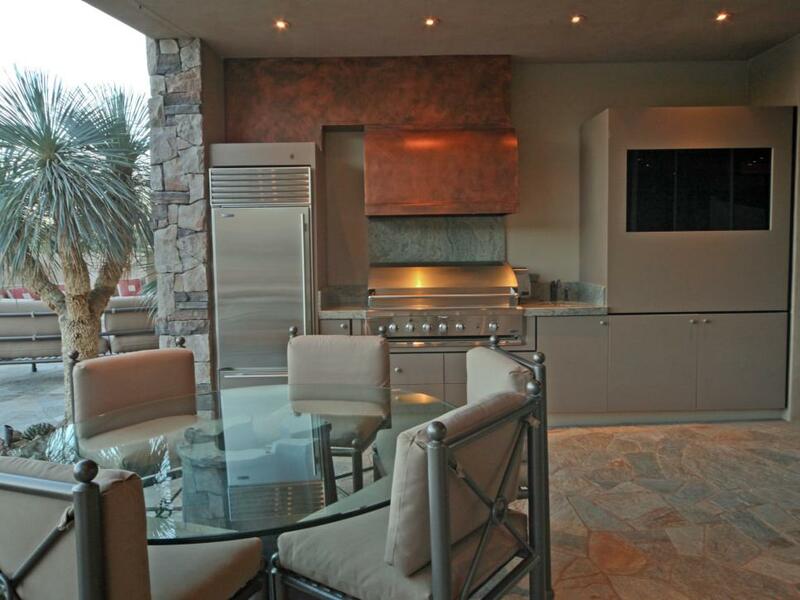 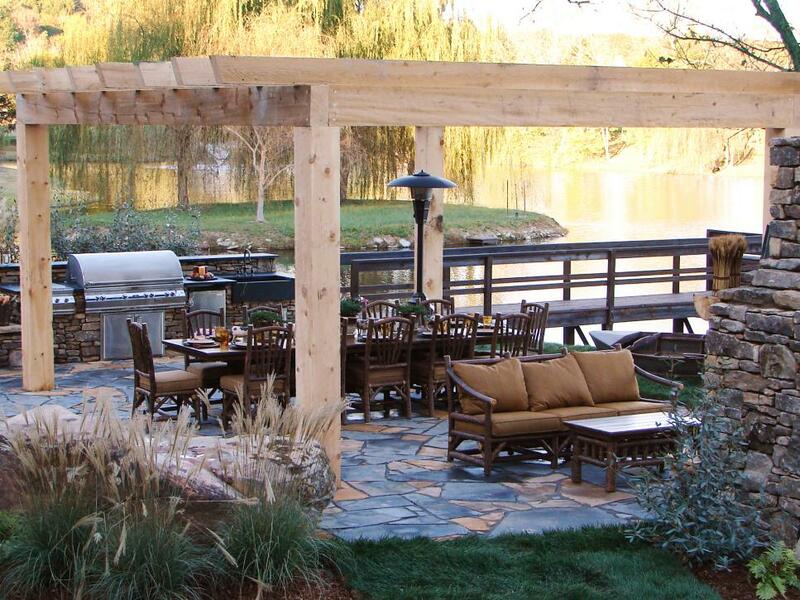 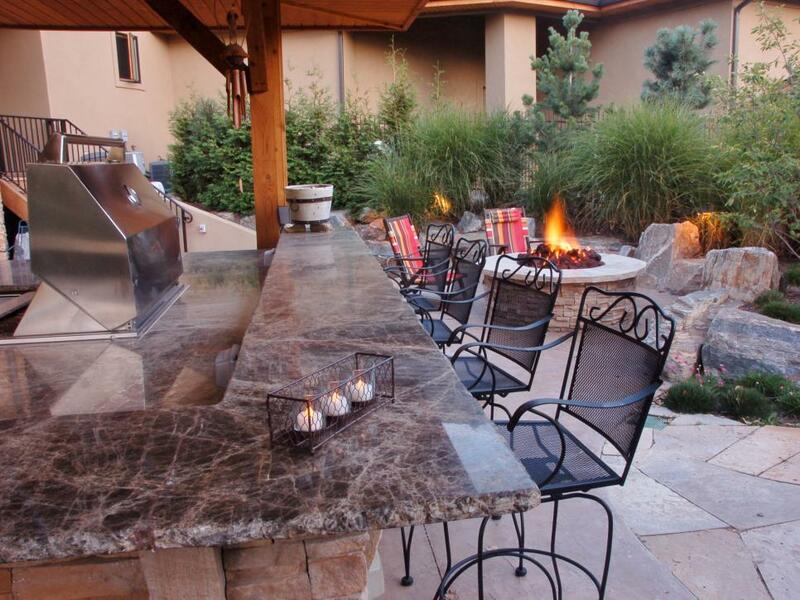 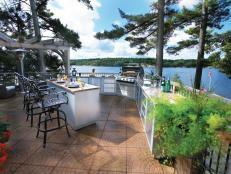 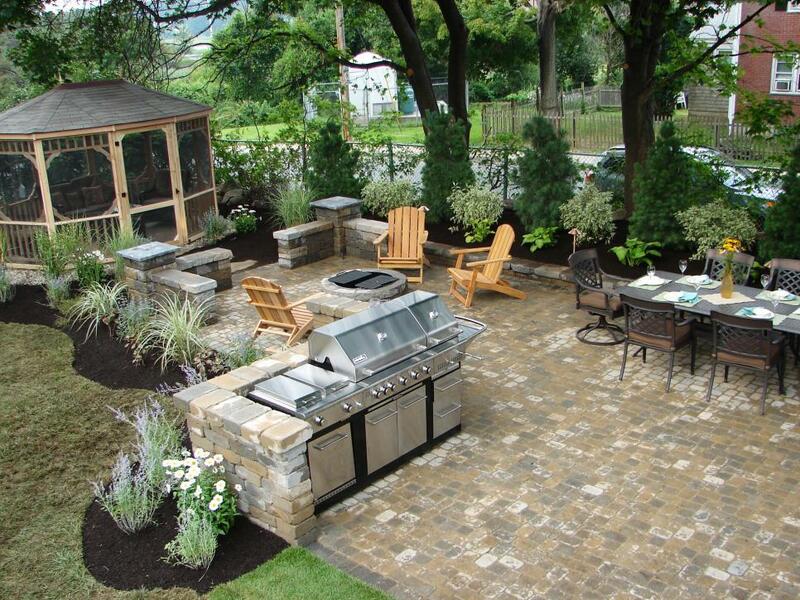 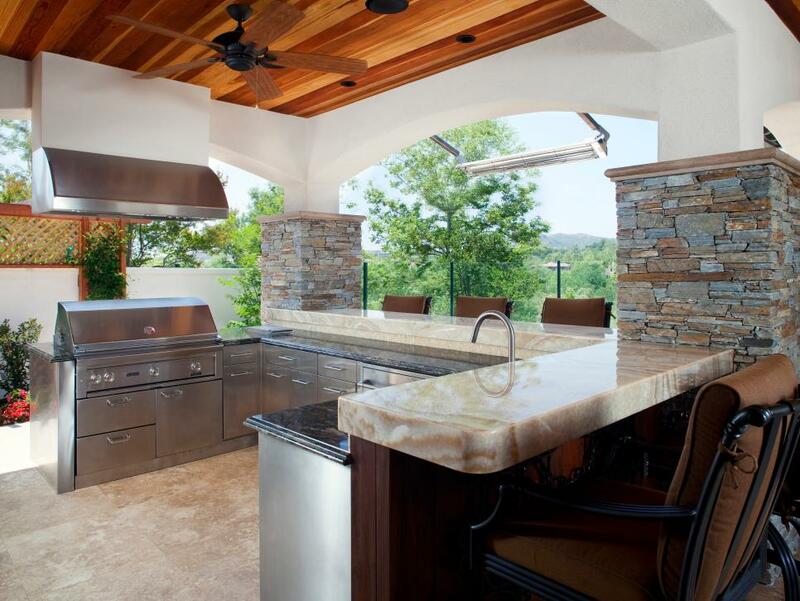 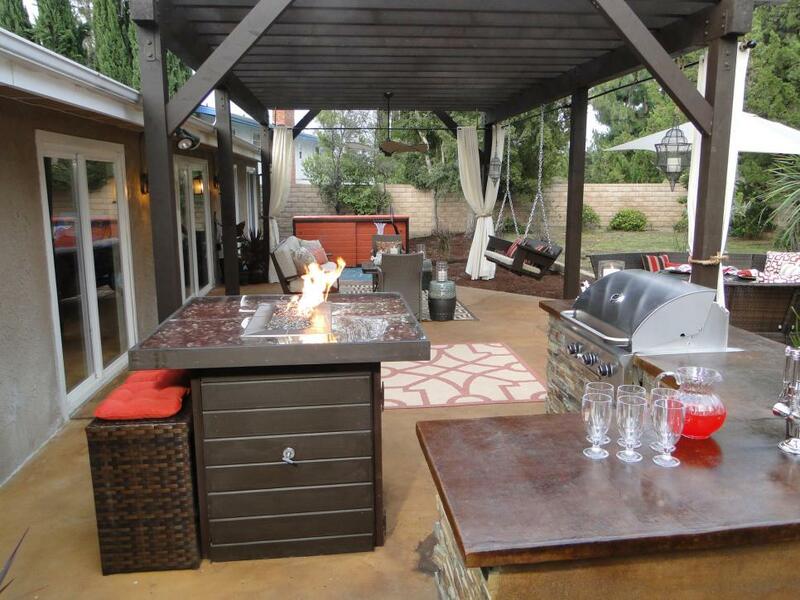 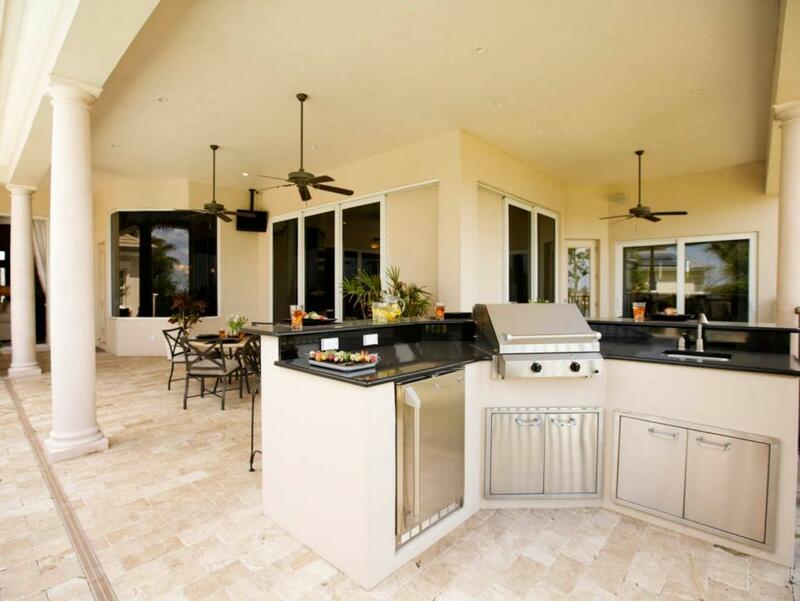 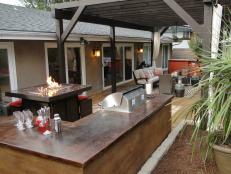 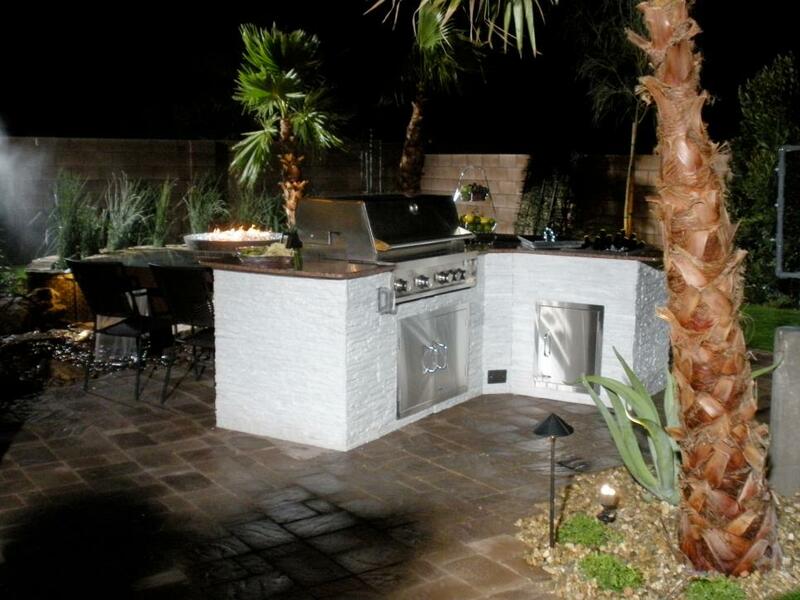 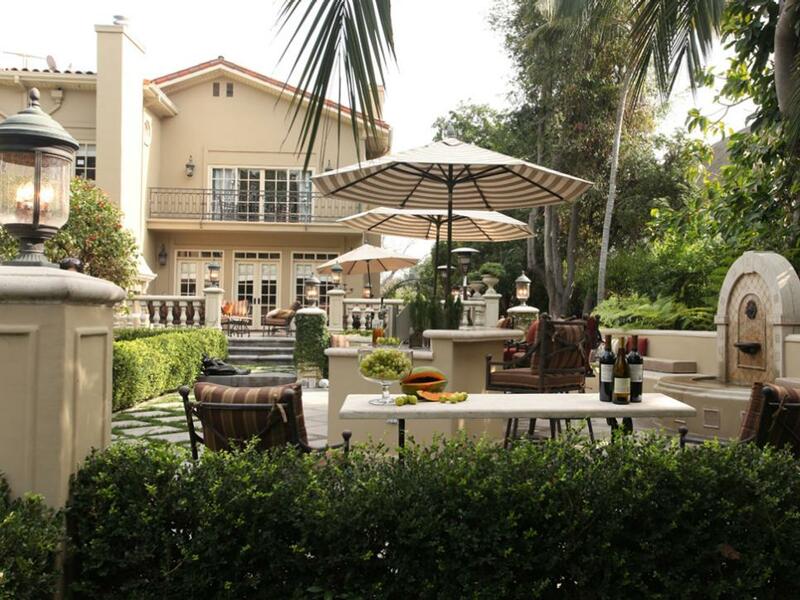 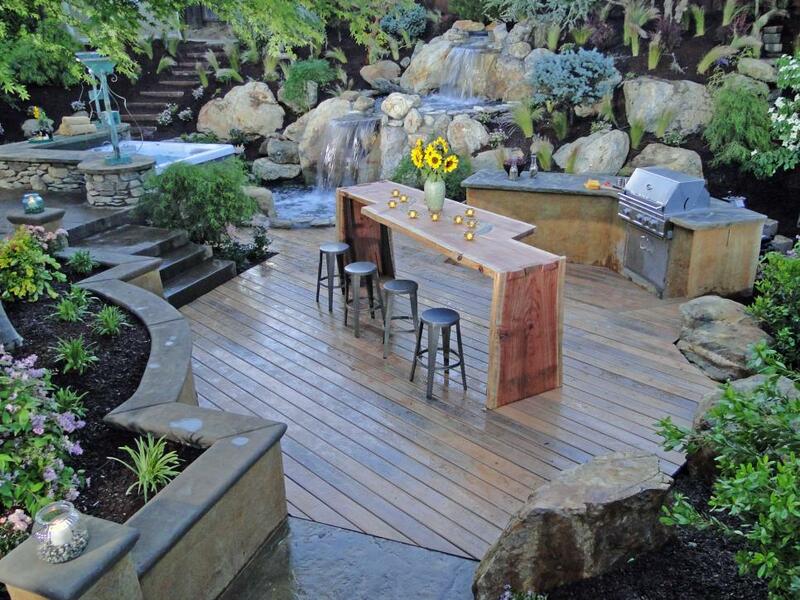 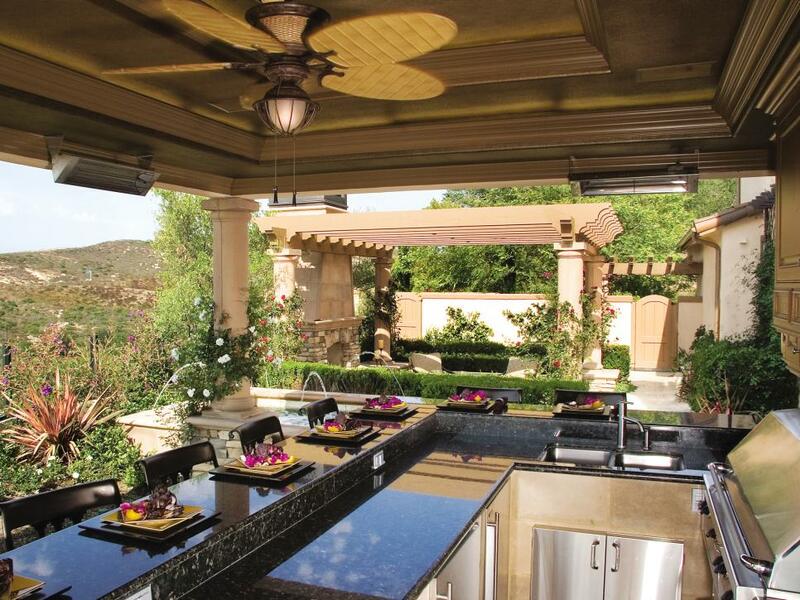 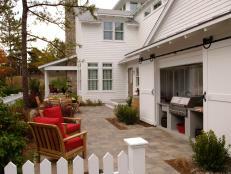 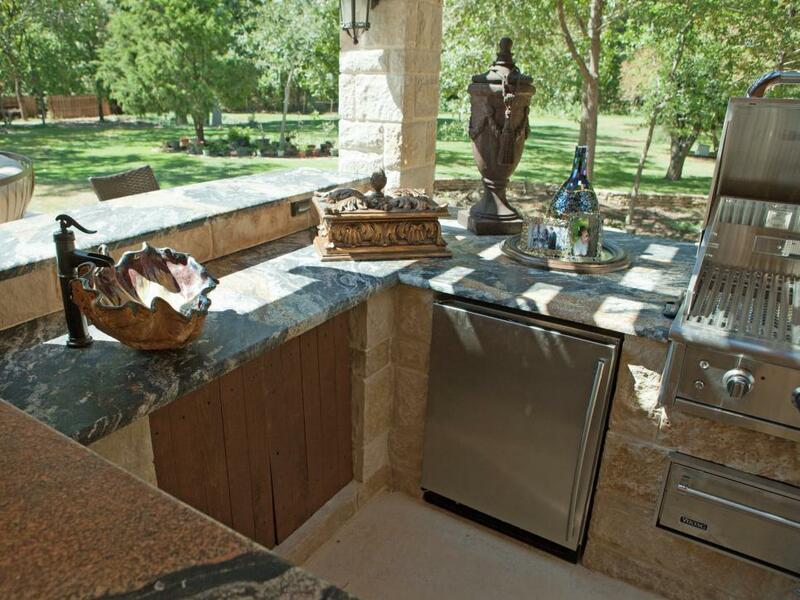 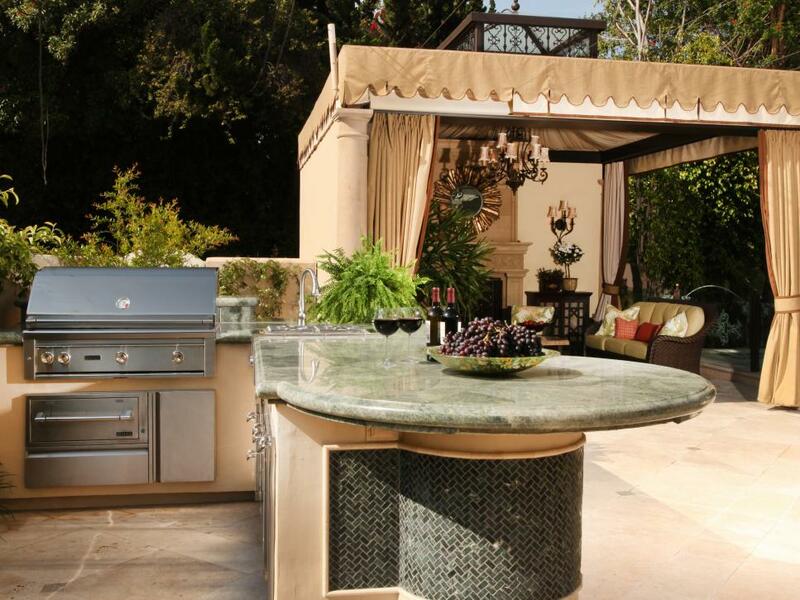 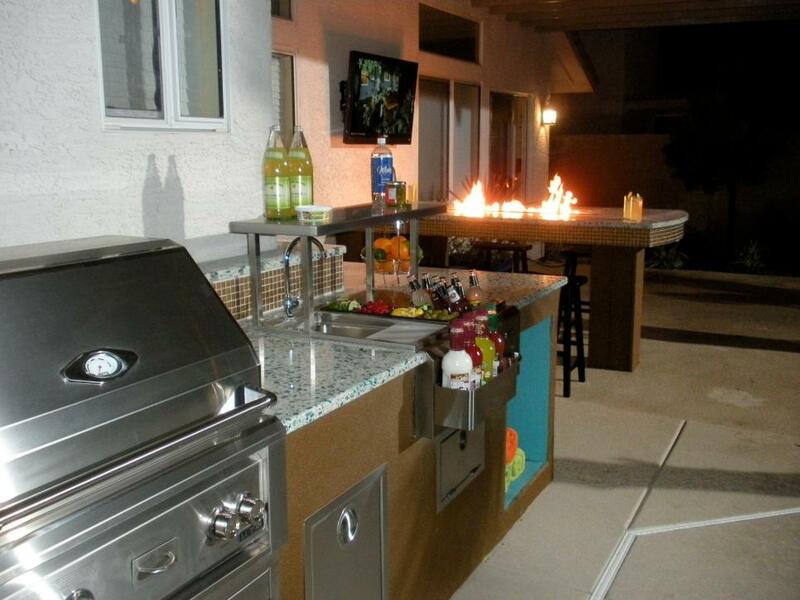 Outdoor kitchen islands create a useful and elegant place for food prep and backyard entertaining. 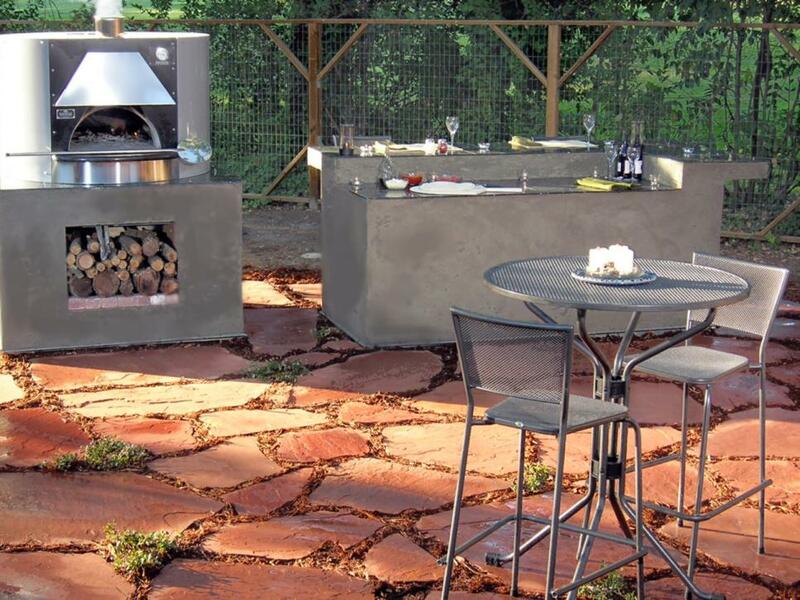 Create the ultimate outdoor cooking environment. 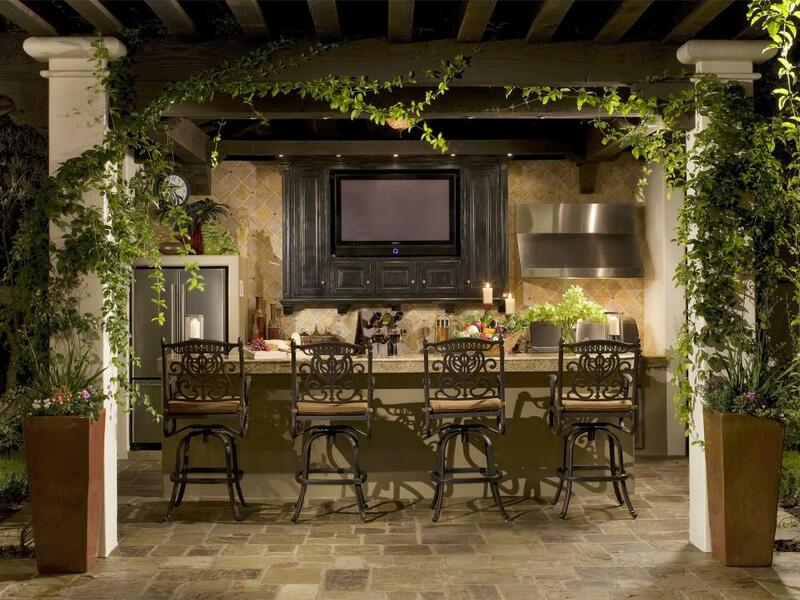 Bring your indoor kitchen design outdoors, with these tips on creating a functional layout. 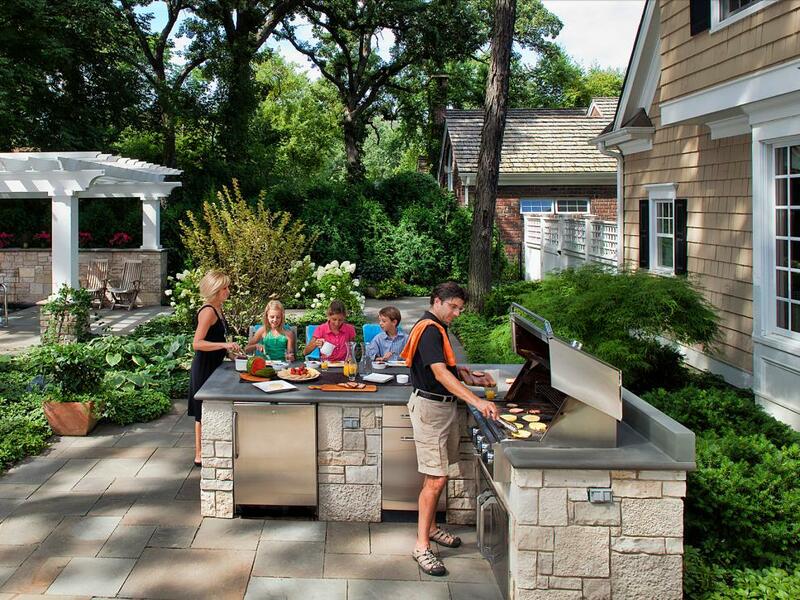 It pays to learn about electricity, plumbing and gas during the outdoor kitchen planning process. 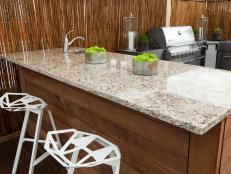 Countertops in your outdoor kitchen maximize workspace and beauty in a variety of materials and colors.